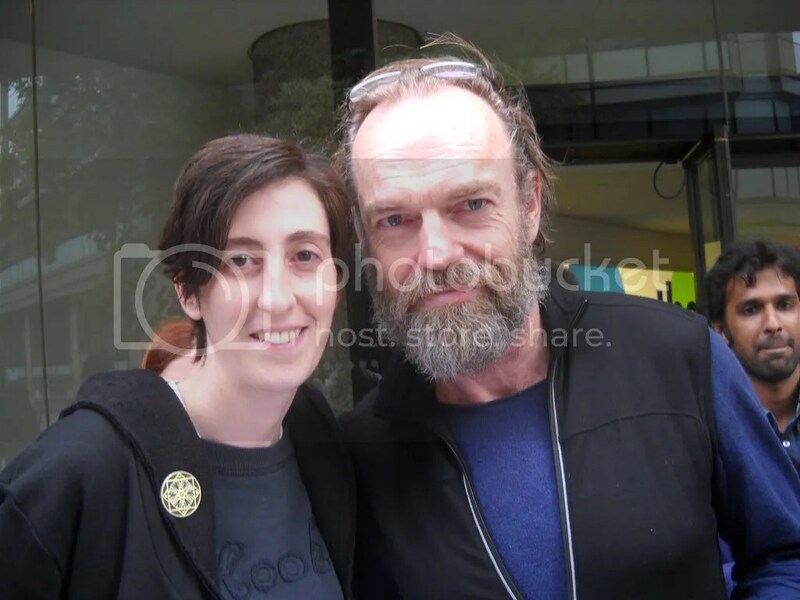 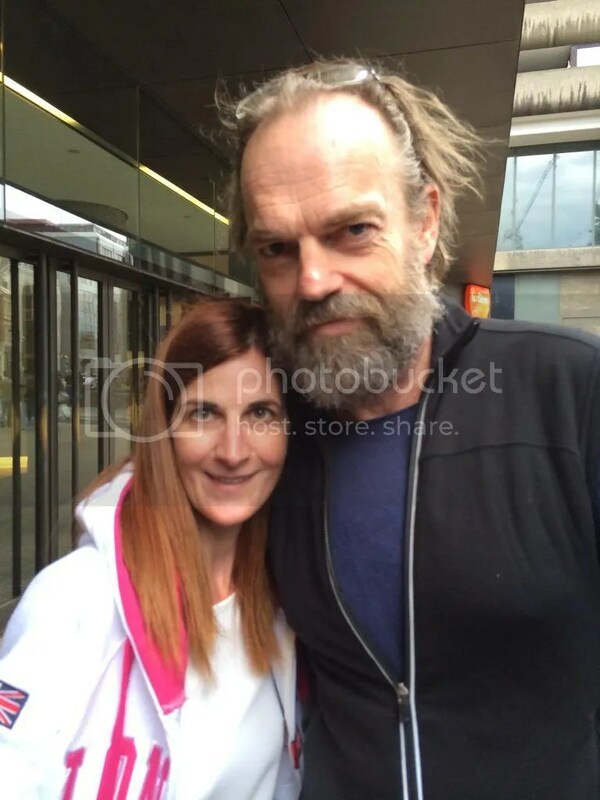 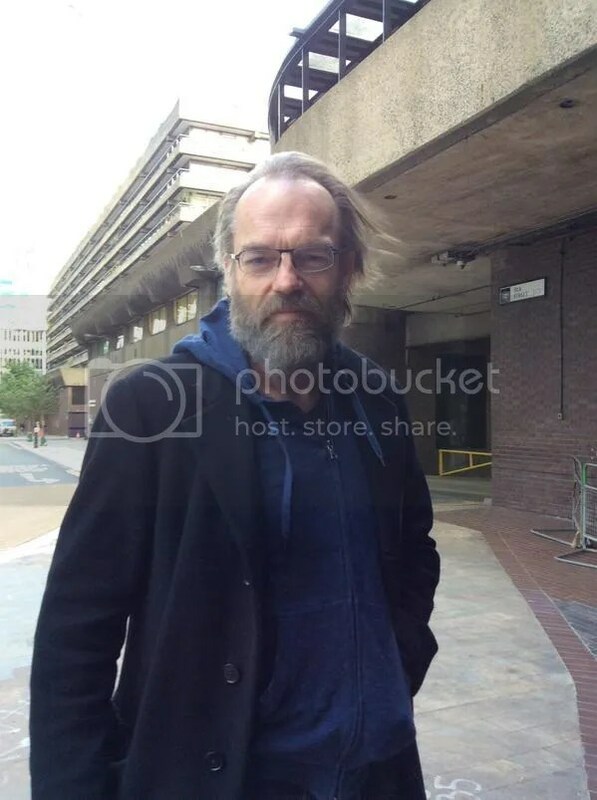 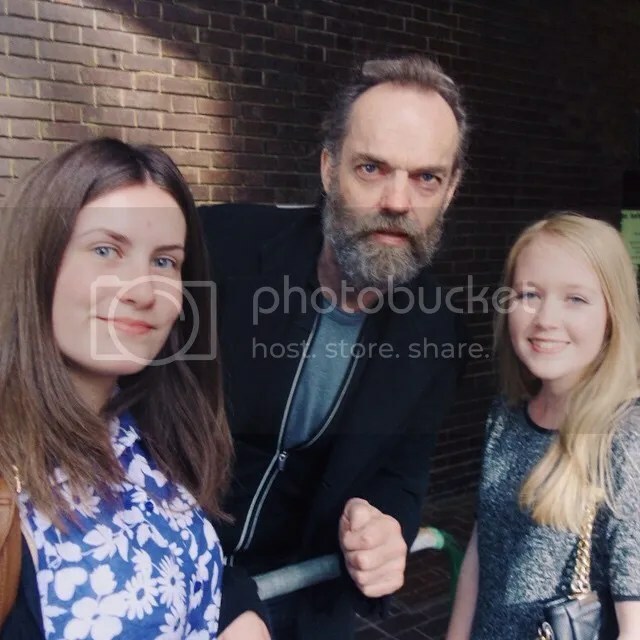 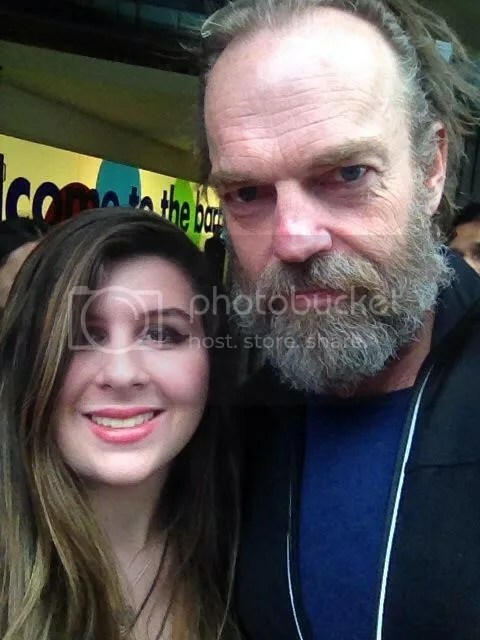 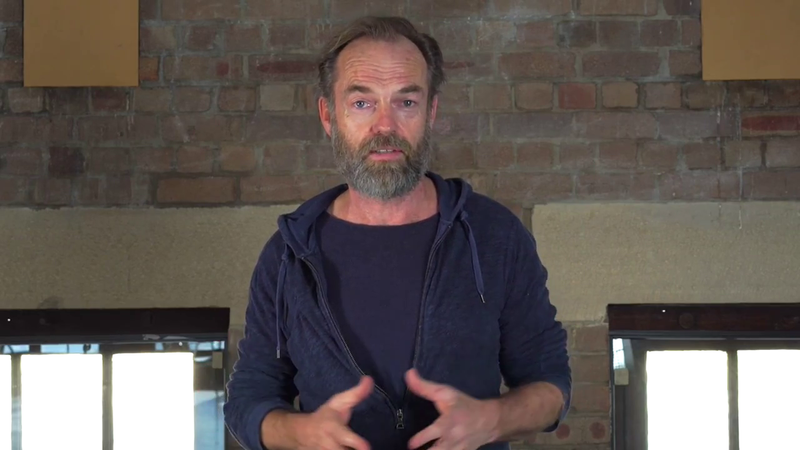 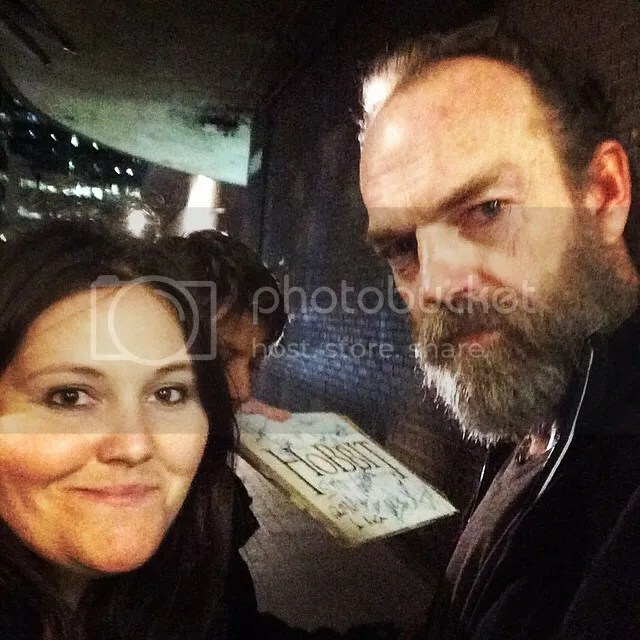 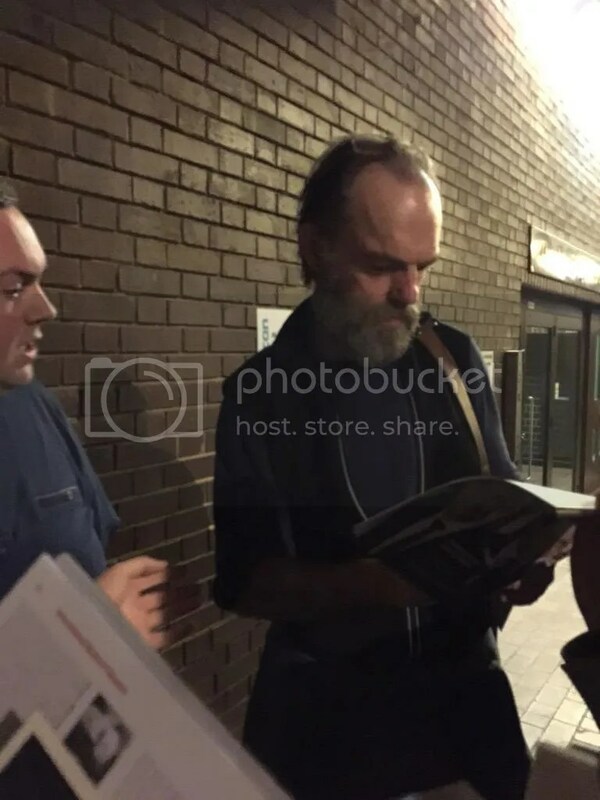 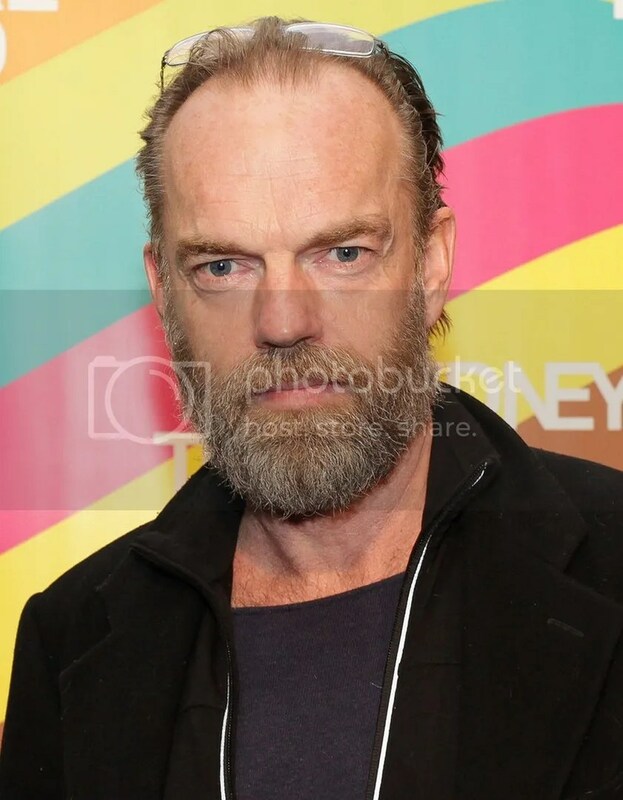 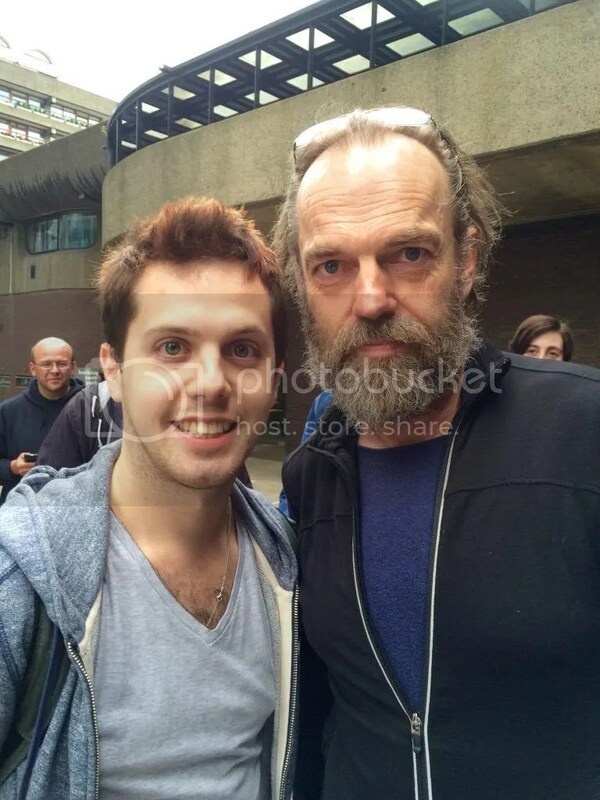 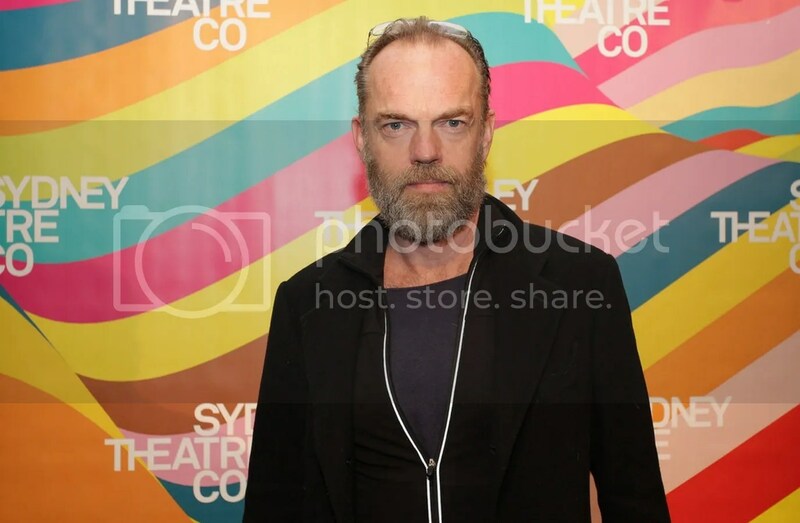 Though Hugo Weaving has been on an extended, well-earned break since STC’s Waiting For Godot wrapped up its London run, his projects– past and future– continue to make the news. 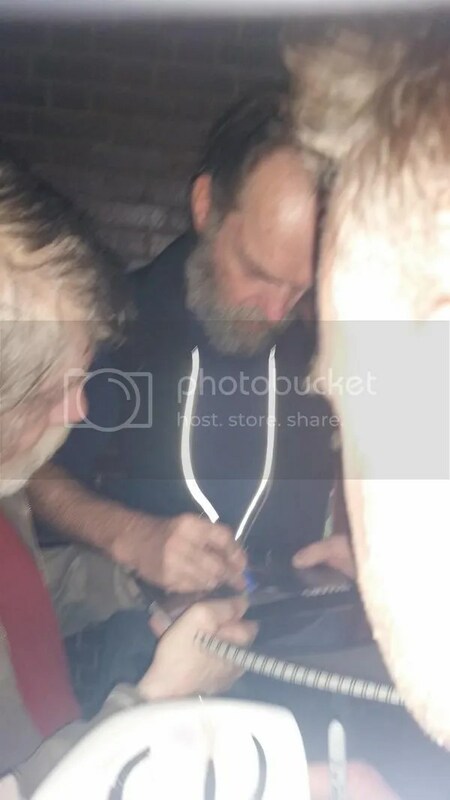 Here’s a rundown of all that’s happened since my last update. 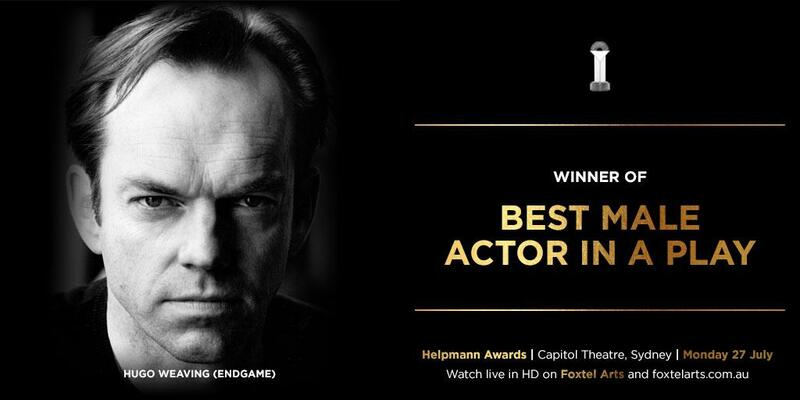 After years of snubs (sometimes of not even being nominated) the Helpmann Awards, given annually for Australian stage productions including theatre, dance, concert and opera, finally did the right thing, awarding Hugo Weaving Best Actor in A Play for his performance as Hamm in STC’s production of Endgame earlier this year. 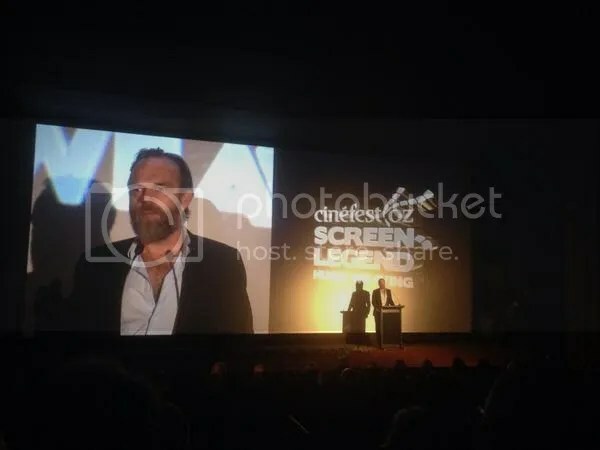 Hugo did not attend the July 27 ceremony, so his Endgame director and friend Andrew Upton claimed the award on his behalf. 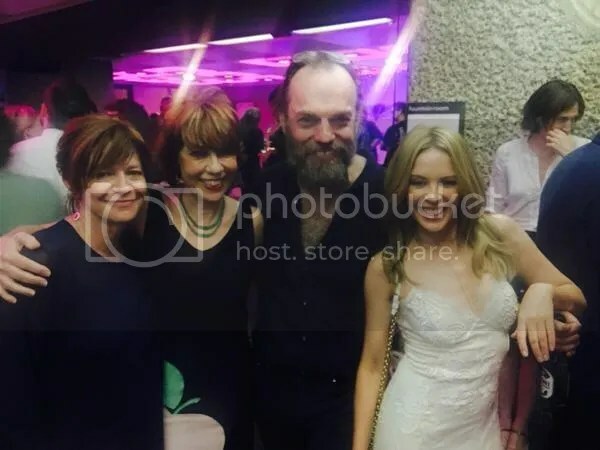 Hugo frequently avoids awards shows and the Helpmanns rarely recognized his work, so I wasn’t surprised he had other places to be, though it would have been nice to hear Hugo’s thoughts on the honor or have some new pics… as fans we’re more than used to him having other priorities than celebrity-driven red carpet galas. 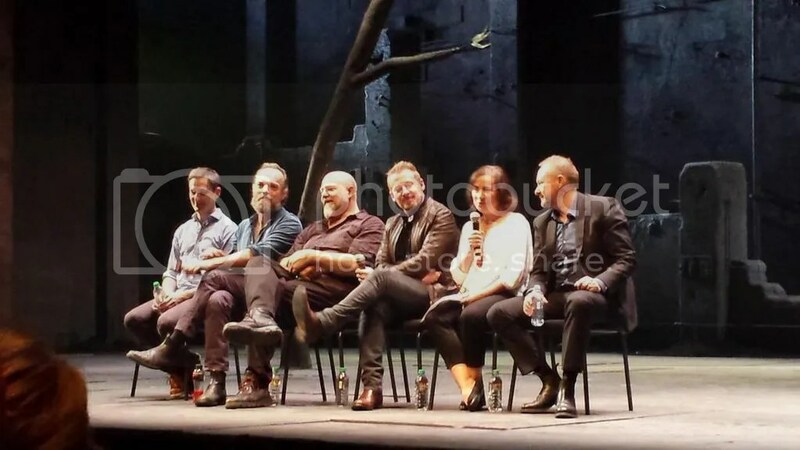 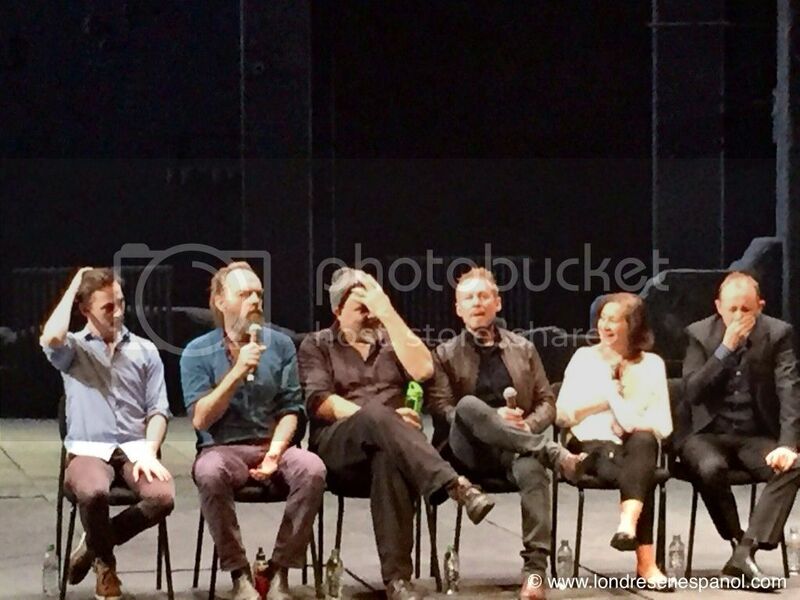 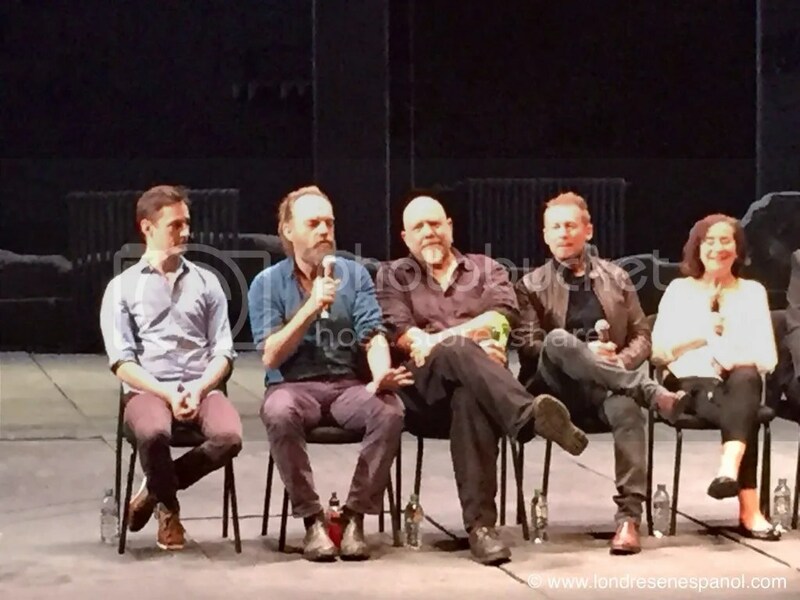 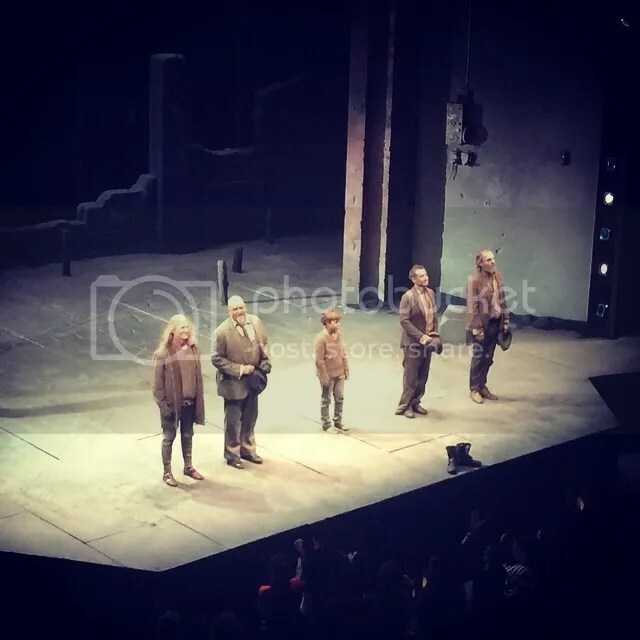 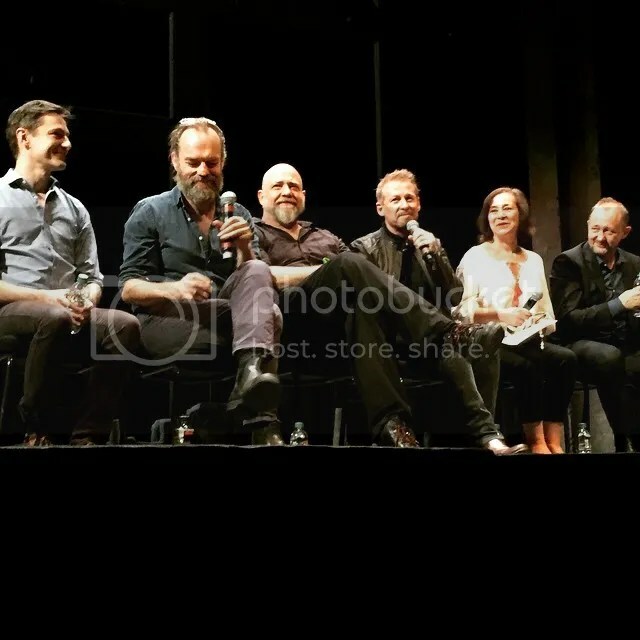 😉 In addition to Upton, Cate Blanchett and Hugo’s former collaborators Kip Williams (Macbeth) and Pamela Rabe (God of Carnage, Les Liaisons Dangereuses) were on hand. 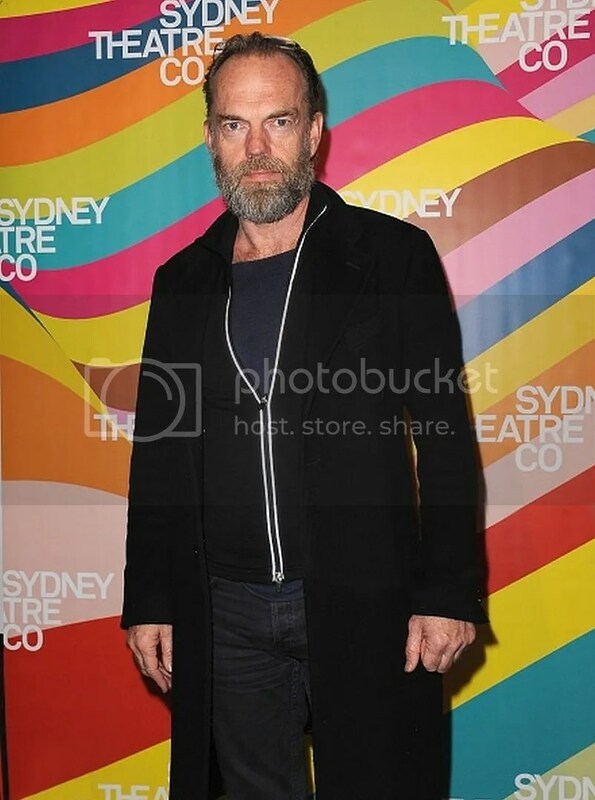 You can view red carpet photos of the event at The Guardian and The Daily Mail; news reports covering the Helpmanns are available at Stage Whispers, The Sydney Morning Herald,The Guardian, The Daily Telegraph, The Australian, The AU Review, Sydneyland, ABC.net and Contact Music. 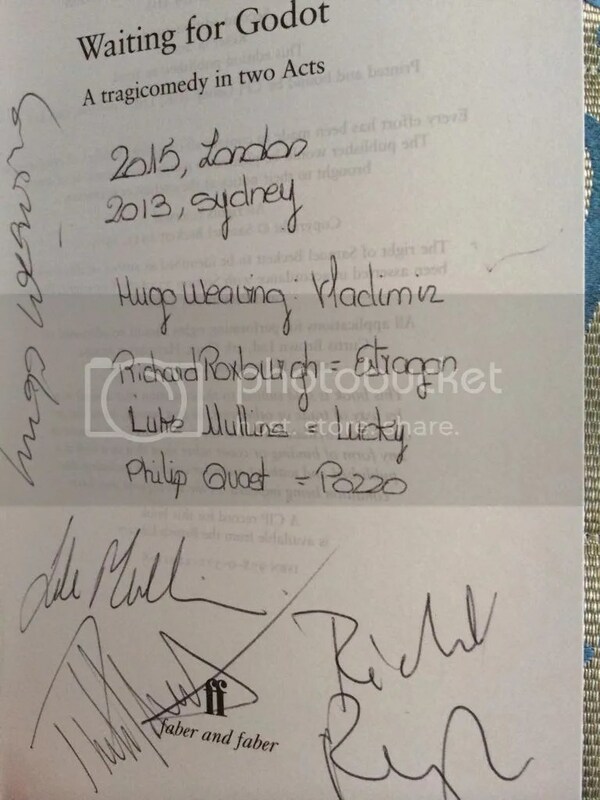 Most of these just list Hugo’s name and honor without citing a reason for his absence. 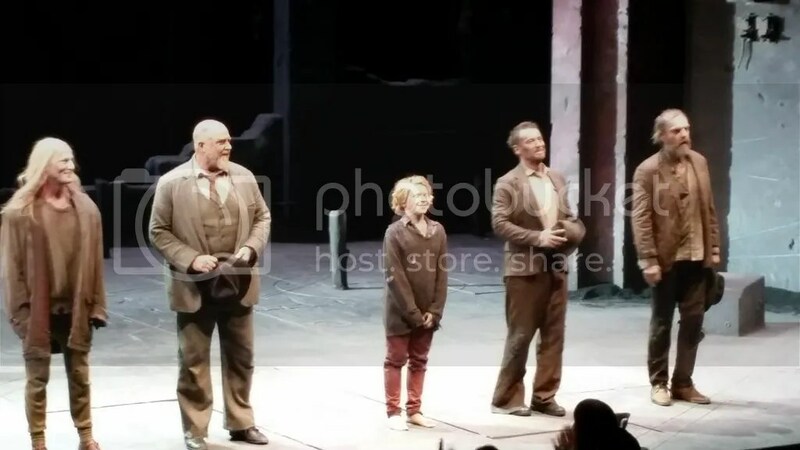 A few include Lisa Tomasetti’s Endgame performance photos or random press photos from earlier events. 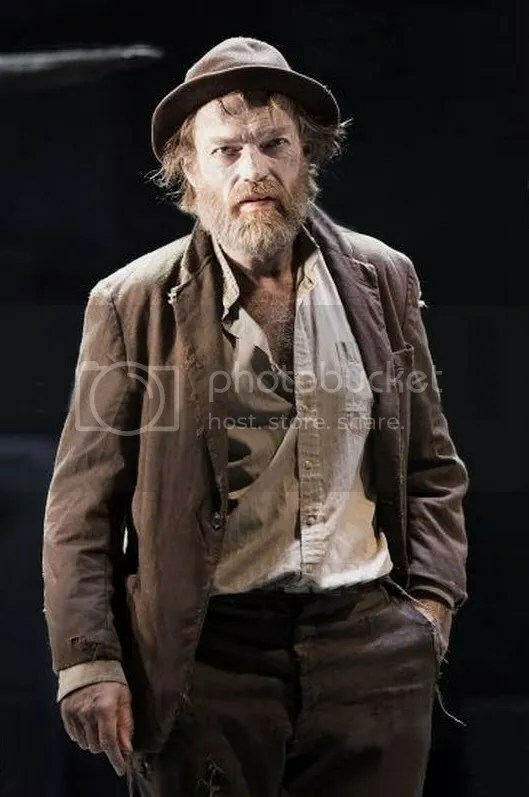 Speaking of Beckett, don’t forget that BBC2’s Artsnight will air a special Beckett themed episode on July 31 at 11pm (GMT) in which host Richard Wilson will interview Hugo Weaving and Lisa Dwan about their participation in The Barbican’s Beckett Festival this summer. 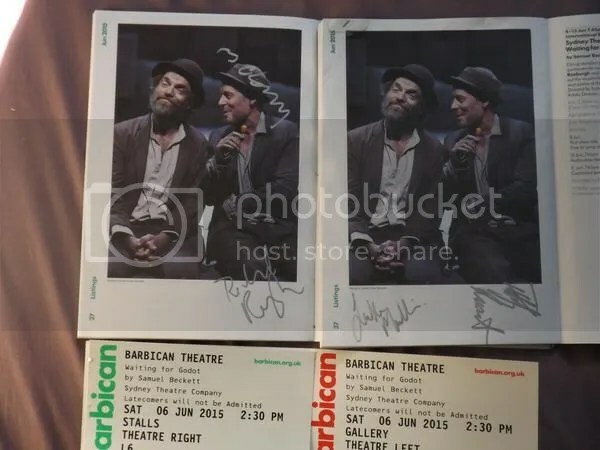 The program will then go up on the BBC’s website for streaming. 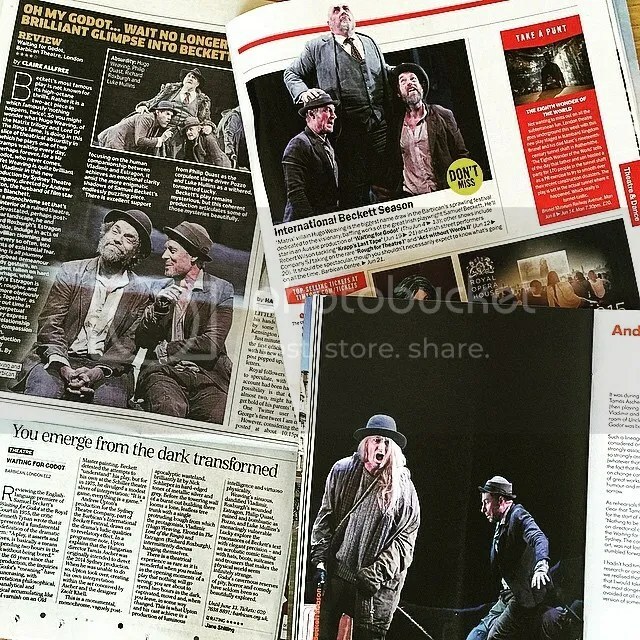 More details at The Telegraph. 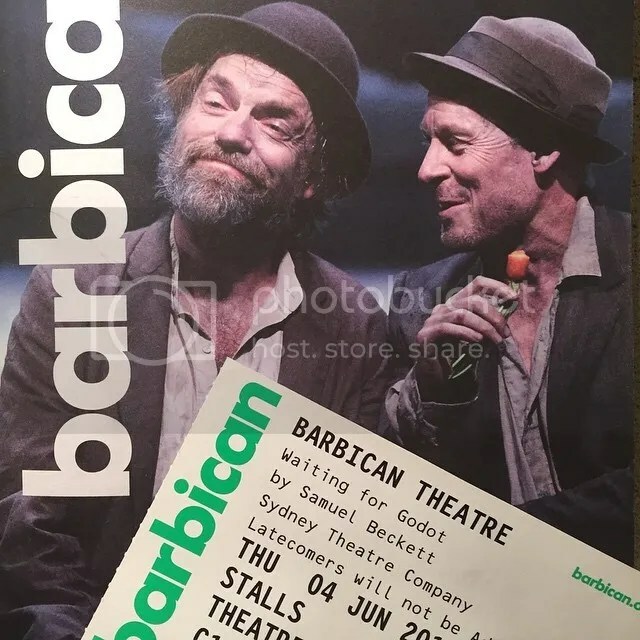 Ideally this should include footage from the Barbican production of STC’s Waiting for Godot, but we’ll have to wait and see. 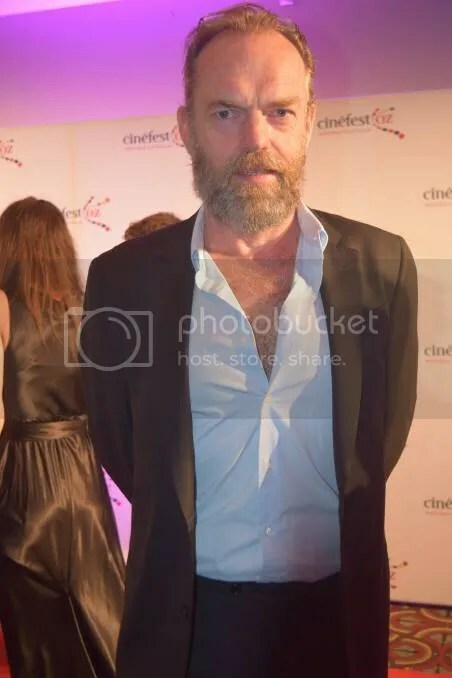 Most entertainment news sites simply list the film’s synopsis and the fact it will be featured in its own gala presentation. 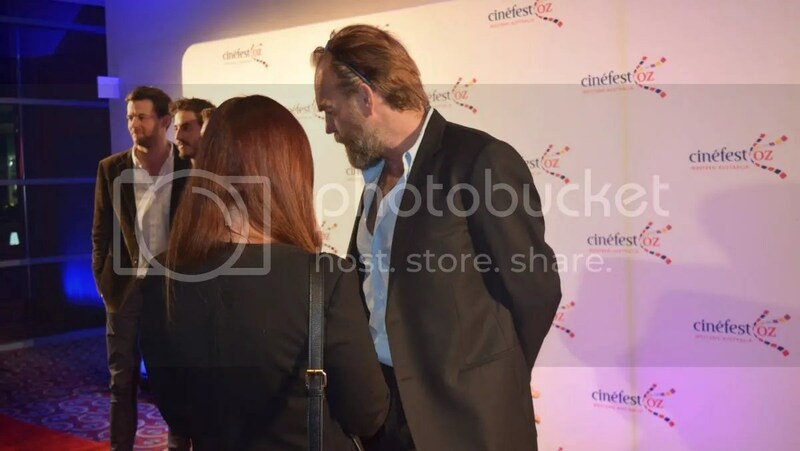 You’ll want to keep an eye on TIFF’s page for the film as more details become available in weeks to come. 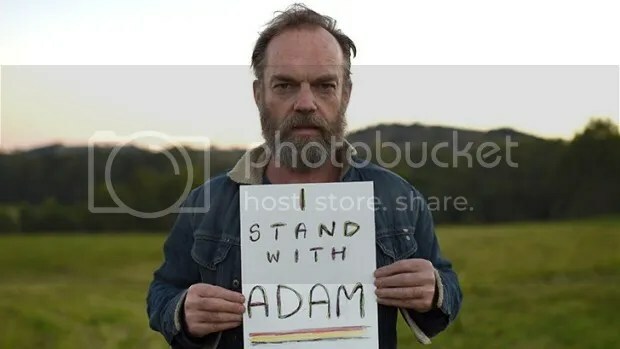 More at ComingSoon.net, Entertainment Weekly, The Huffington Post and The Guardian, among many others. 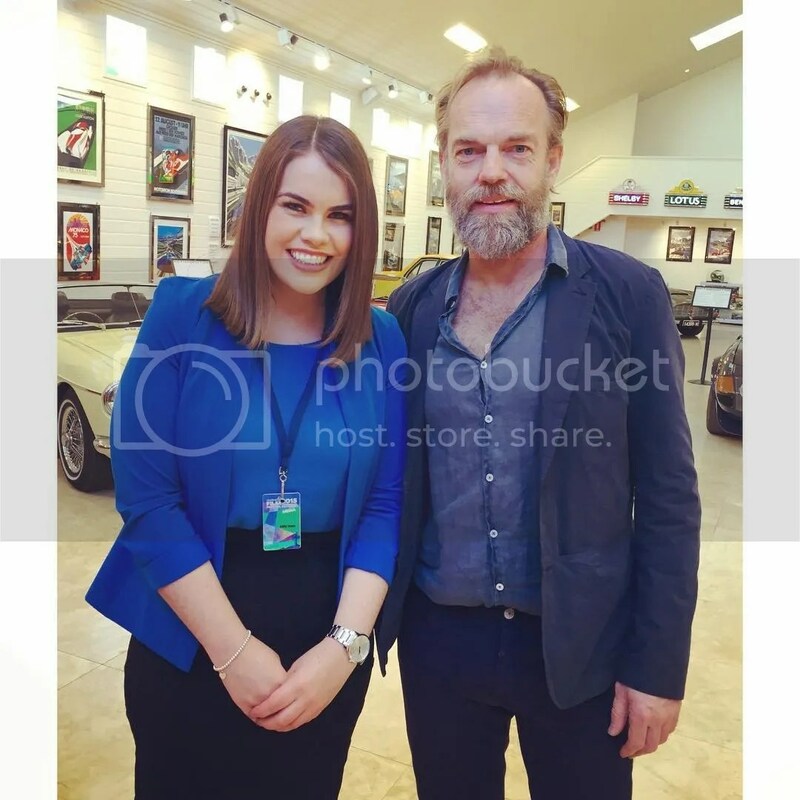 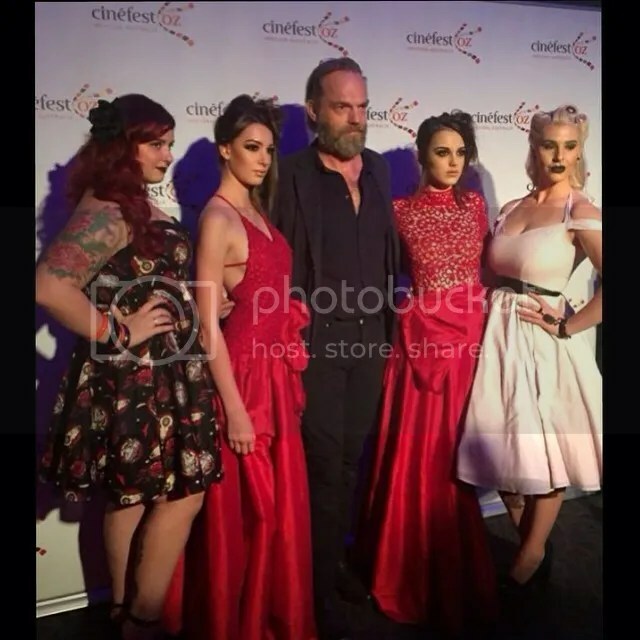 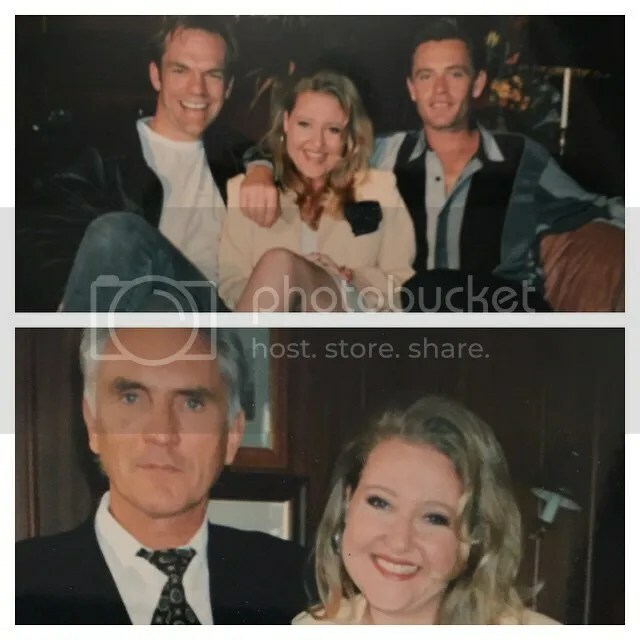 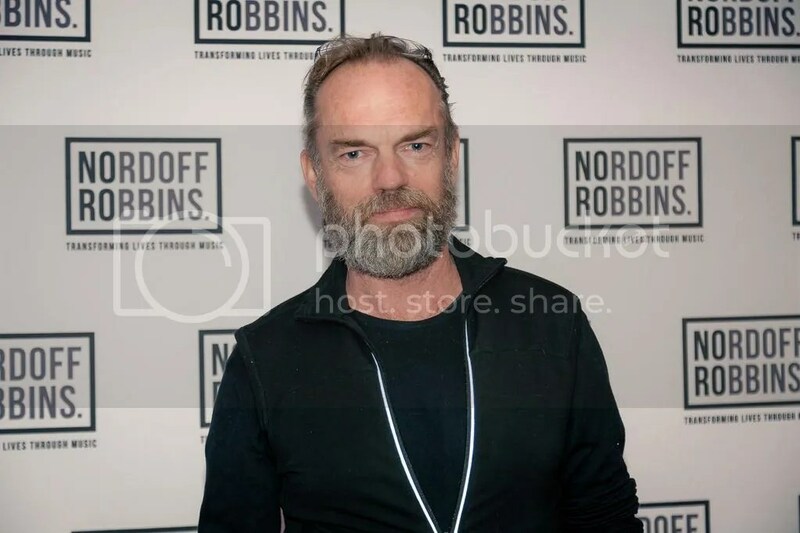 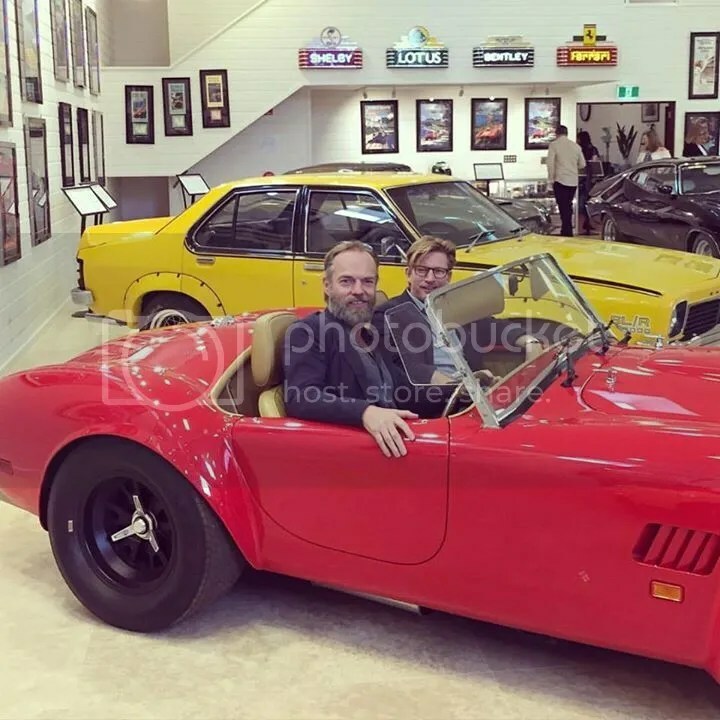 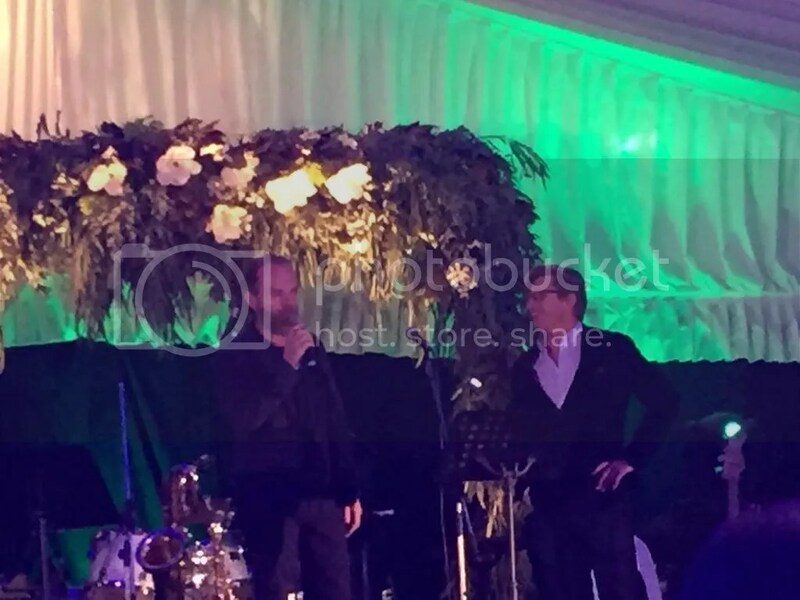 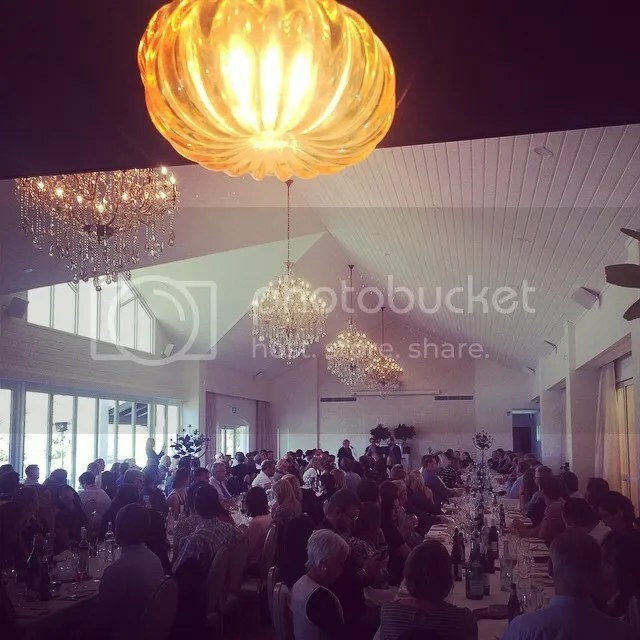 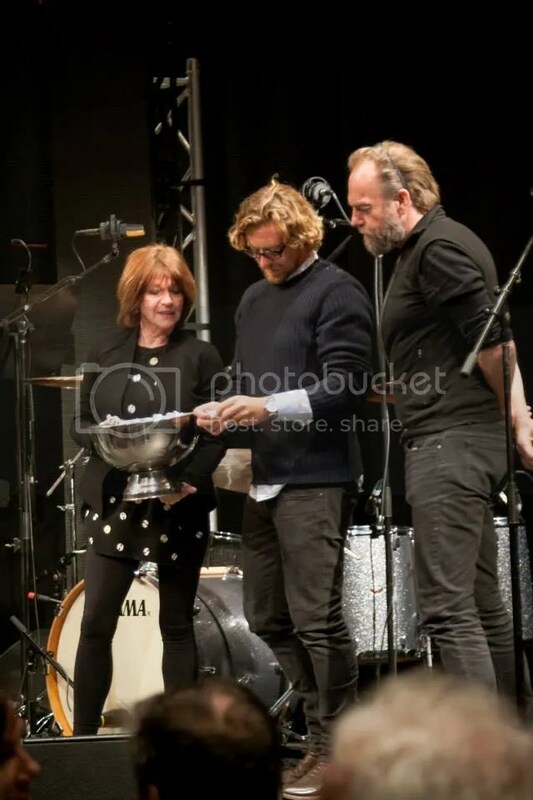 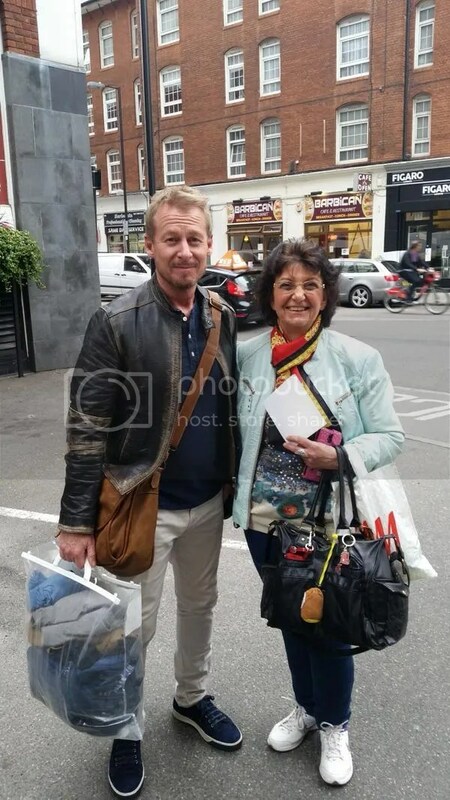 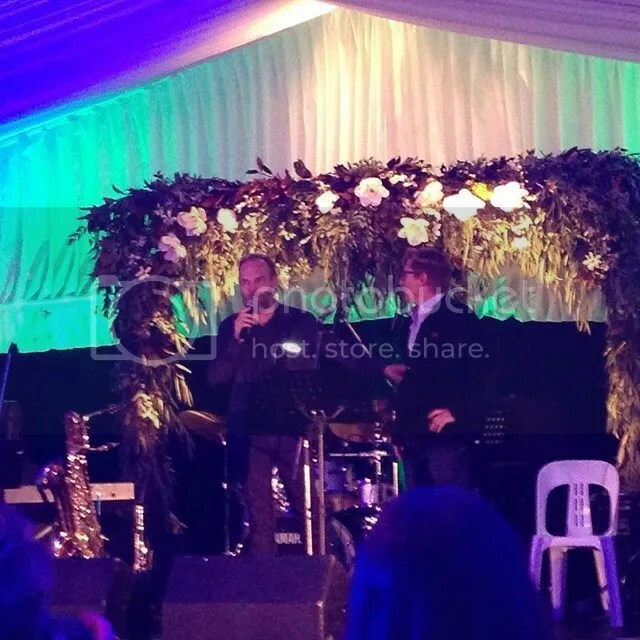 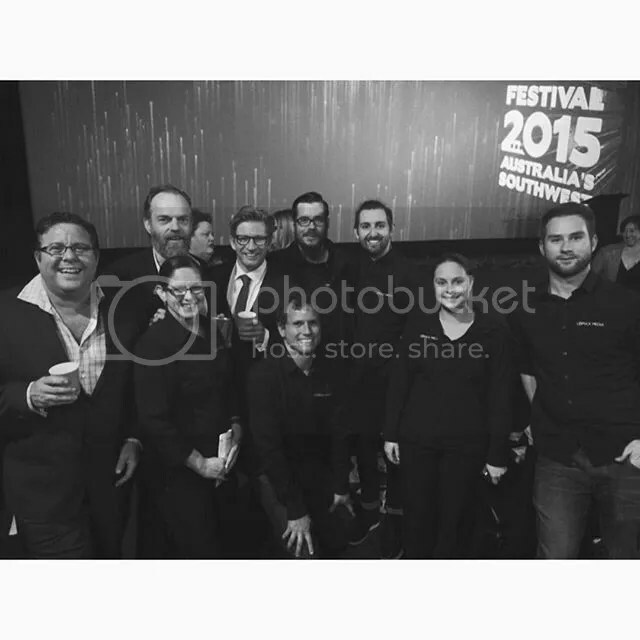 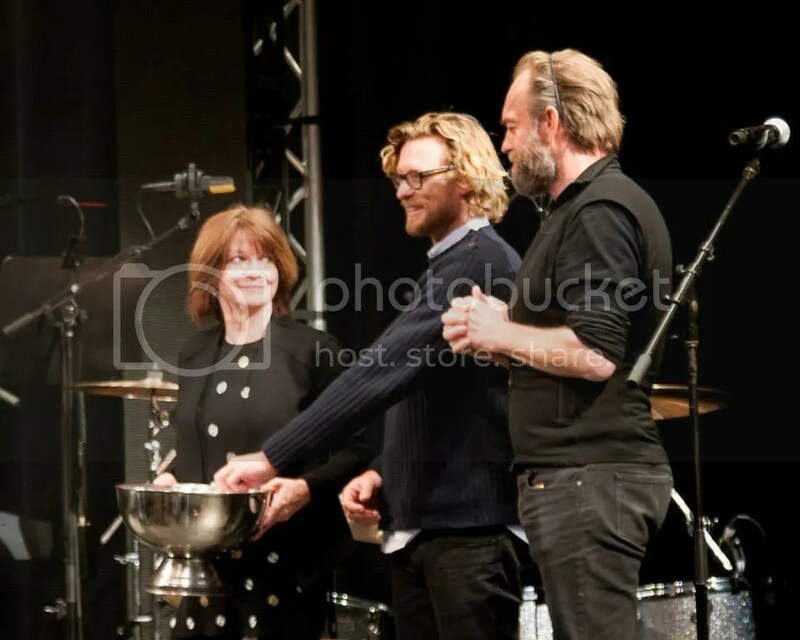 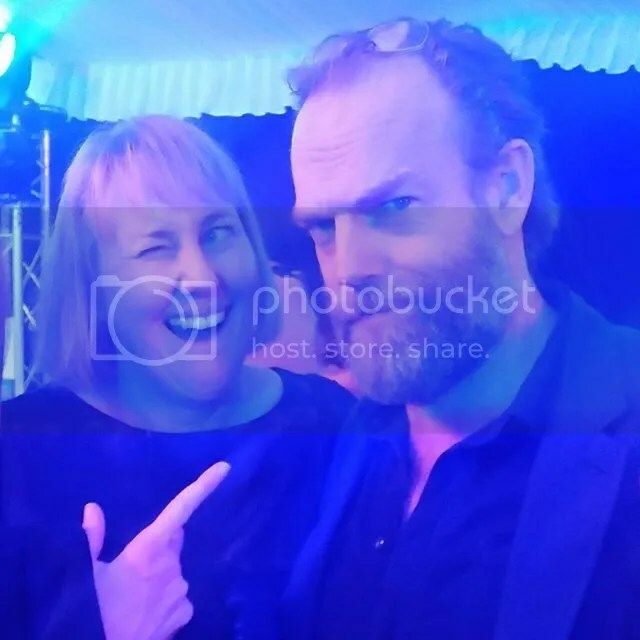 Art of Music’s Facebook page has shared some additional new photos of Hugo Weaving alongside Simon Baker and Jenny Morris at the July 16 charity fundraiser, which has been Hugo’s only public appearance this summer. 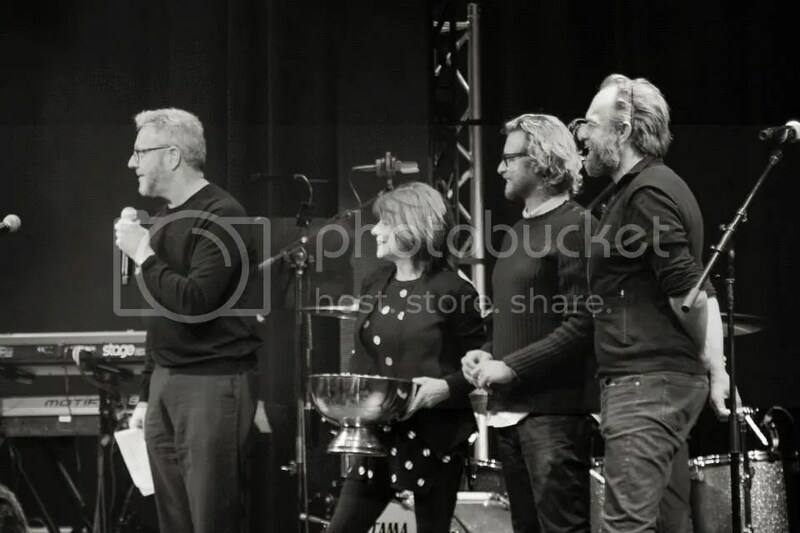 All were taken by Trini Cromie Photography. 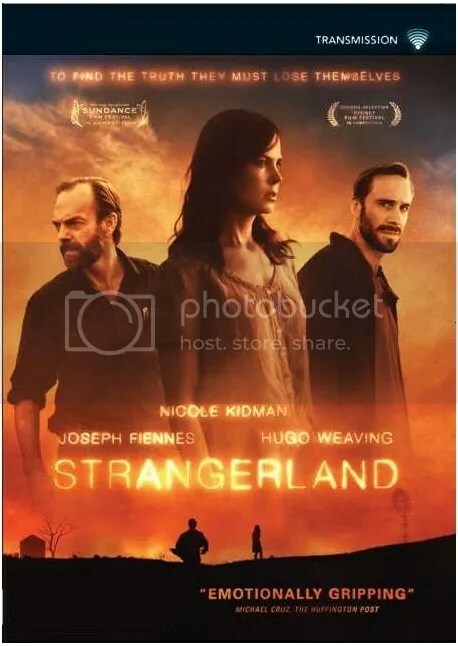 Speaking of Strangerland, I am still trying to fit in a second screening of the film before composing a review. 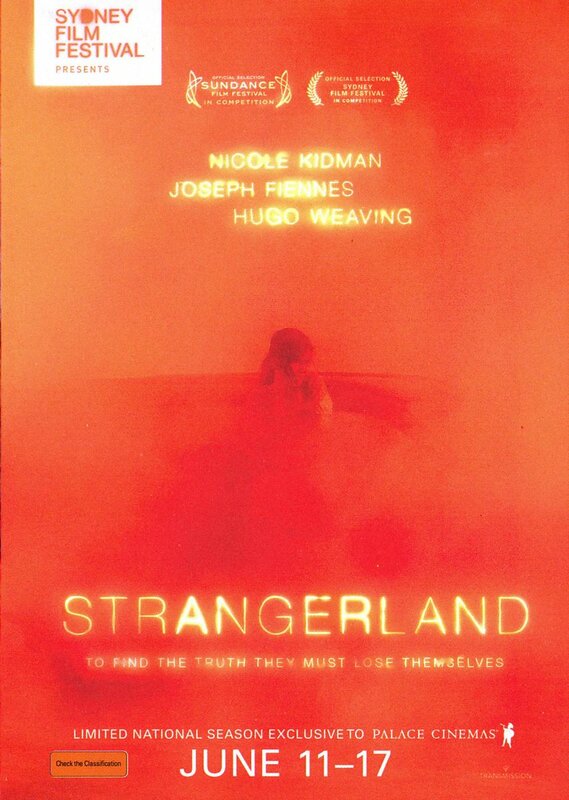 Again, a proper theatrical viewing would be optimal, but US distributors seem intent on disappointing me time after time in that regard. 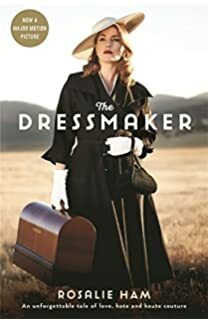 We’ll have to see if The Dressmaker finally breaks that pattern, but I’m sick to death of arthouse screens being wasted on mid-budget American films that are being shunted there so superheroes and CG dinosaurs can hog ALL the screens at mall cineplexes. 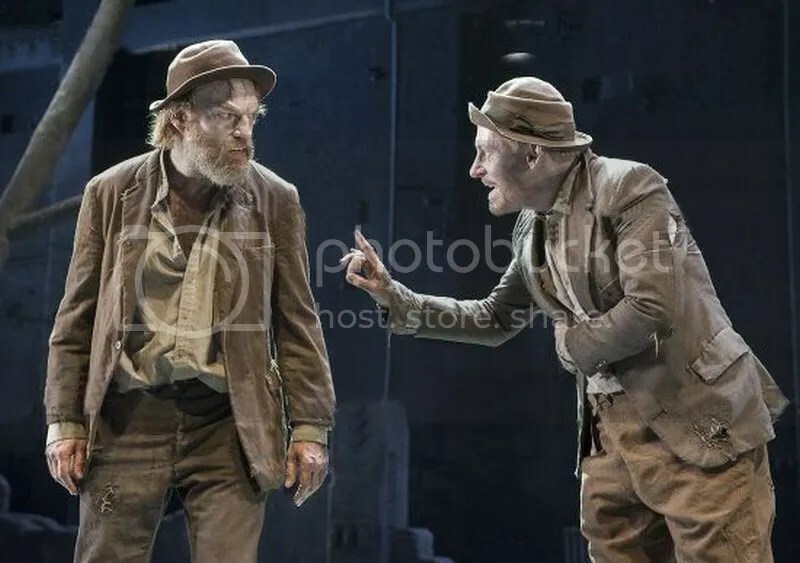 I still highly recommend the film, and highly recommend that fans NOT waste any time reading snotty negative reviews or Twitter comments about the film, as most seem to have been written by juveniles with short attention spans. 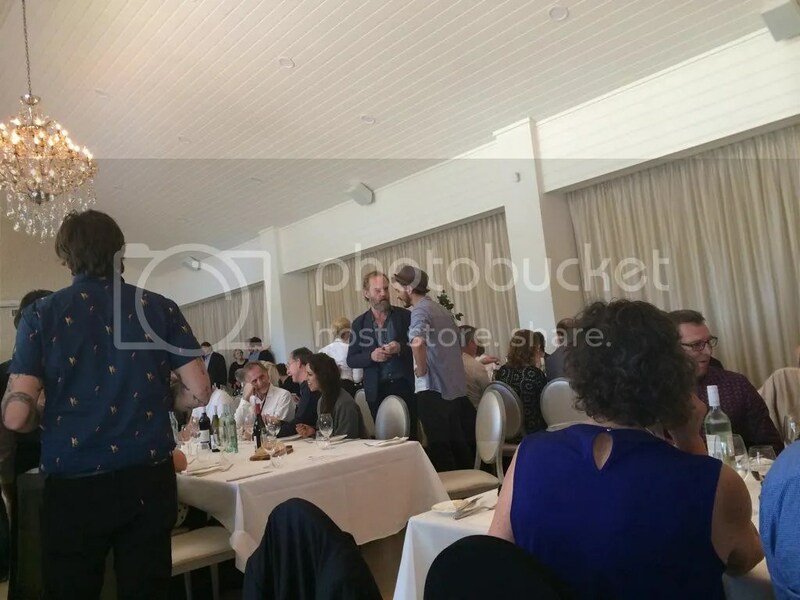 Ivan Sen and Aaron Pedersen recently completed filming Goldstone, the sequel/offshoot to Mystery Road, in June. 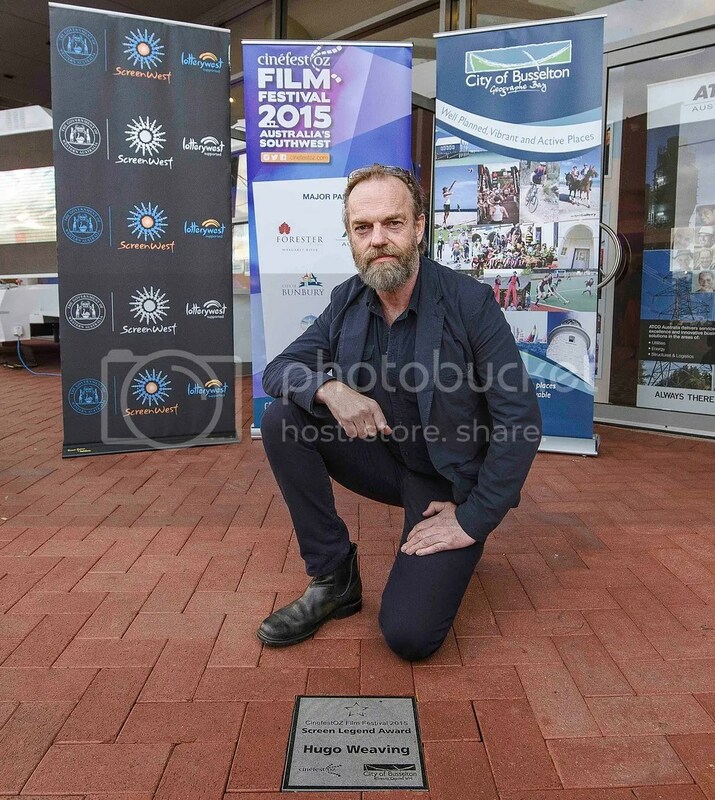 (Hugo’s character Johnno won’t be featured because… well, see the first film). 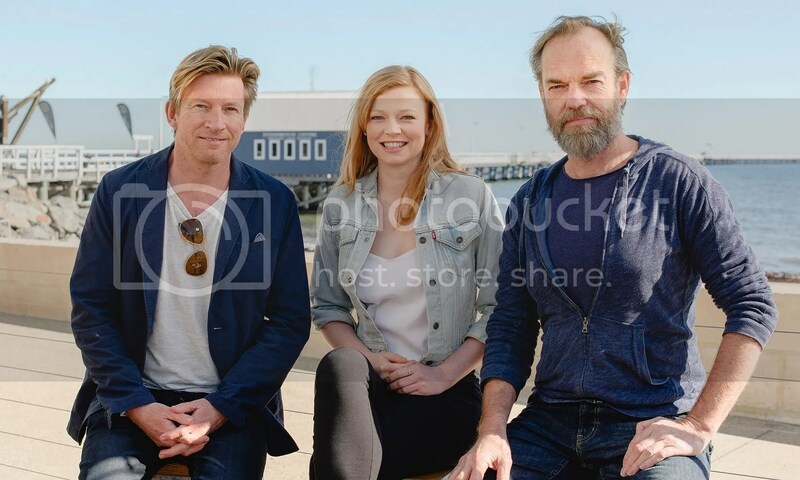 But the new film co-stars Jacki Weaver, David Gulpilil and David Wenham, and should provide riveting viewing in its own right. 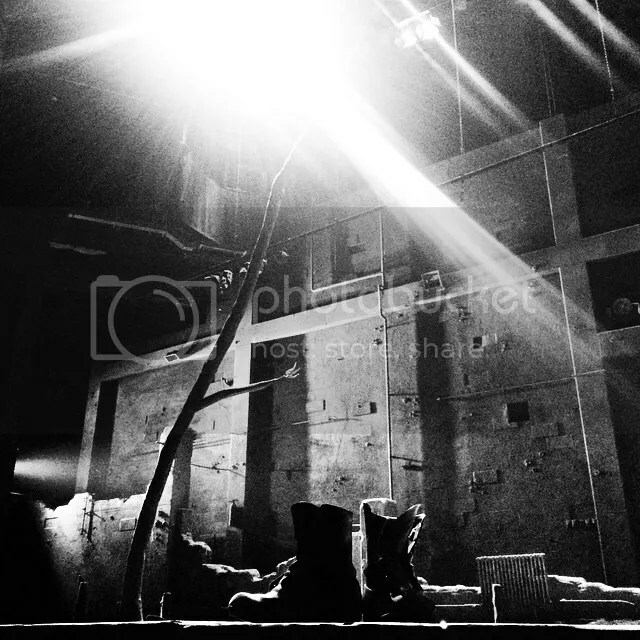 You can see production photos and news reports at the film’s Facebook page. 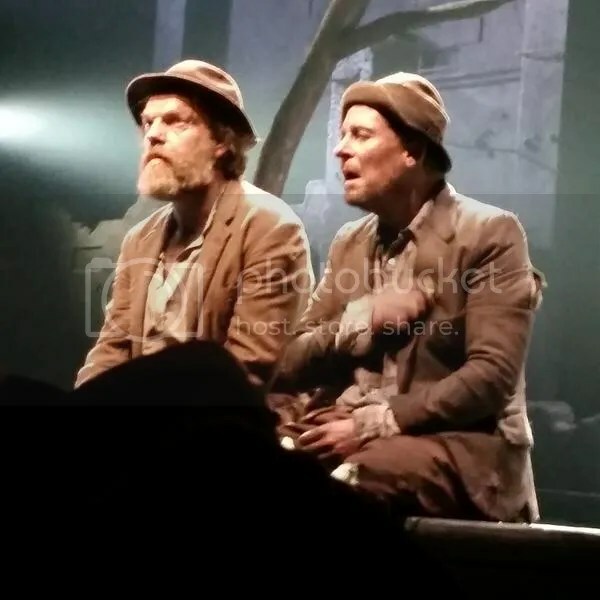 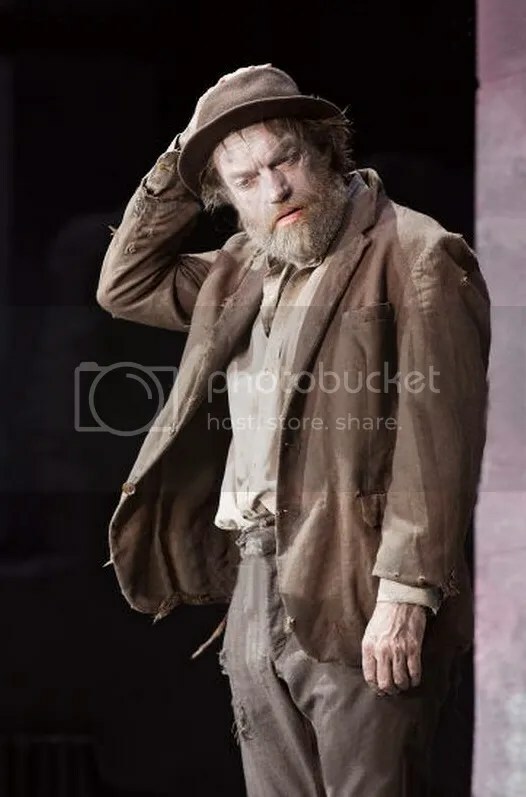 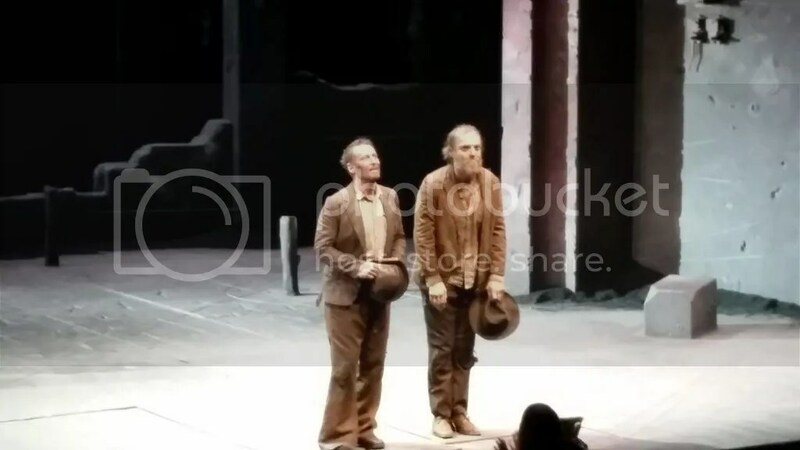 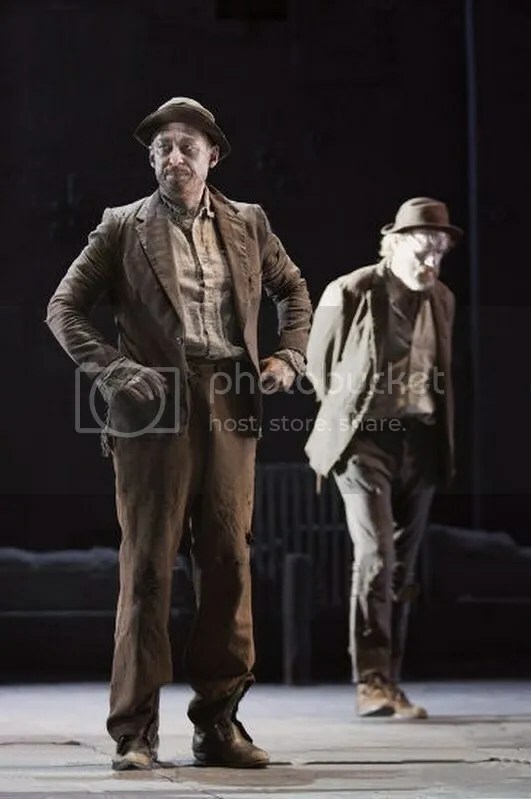 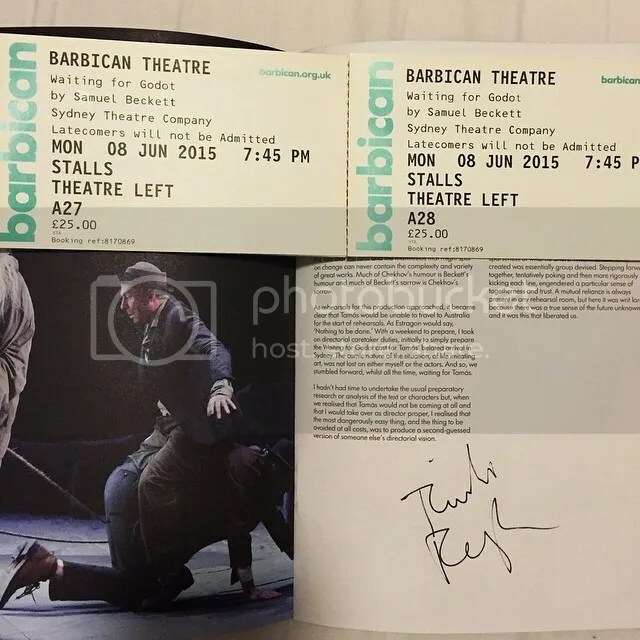 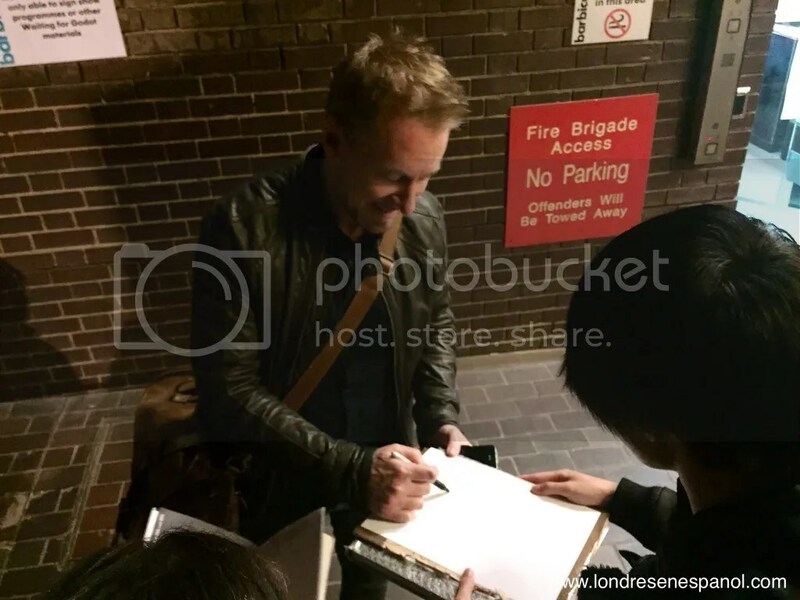 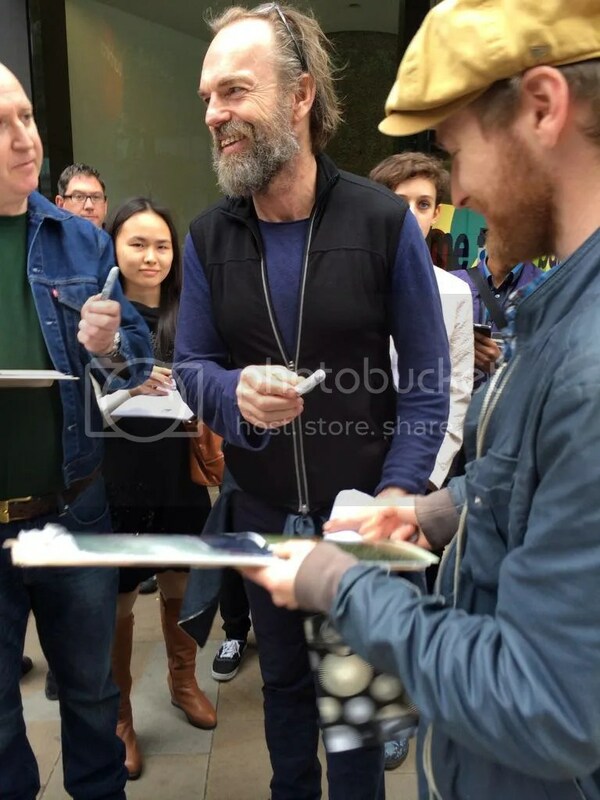 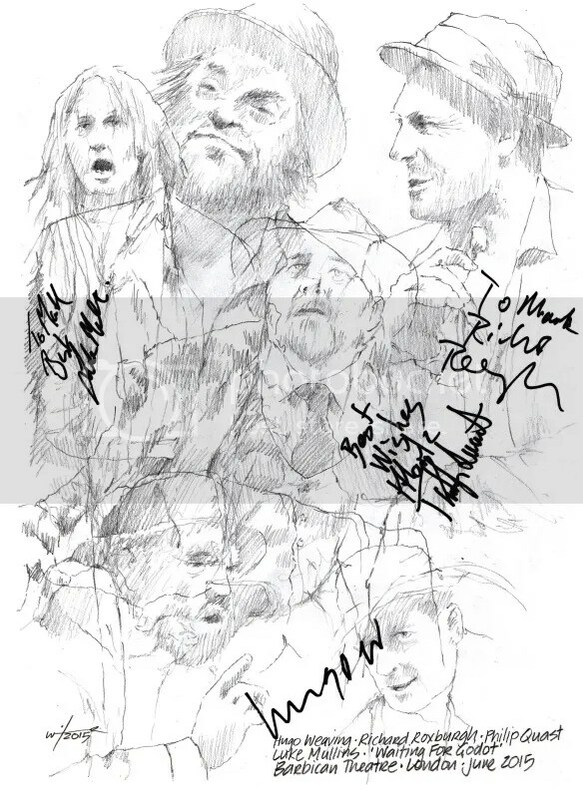 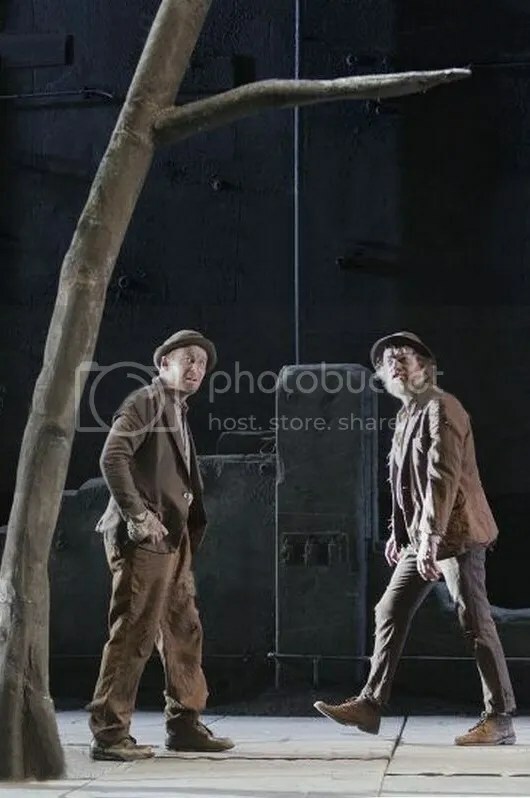 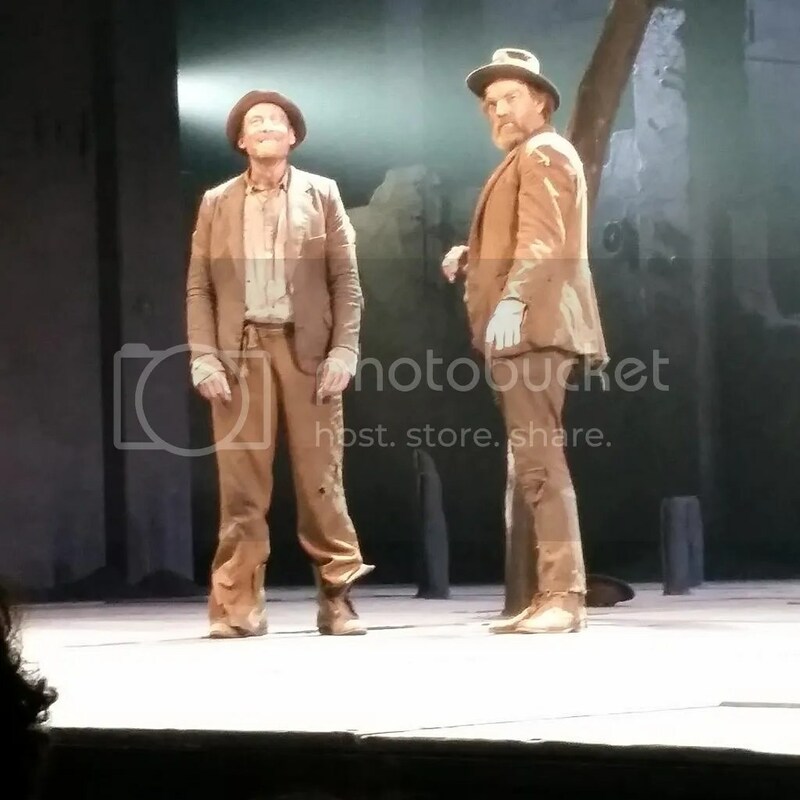 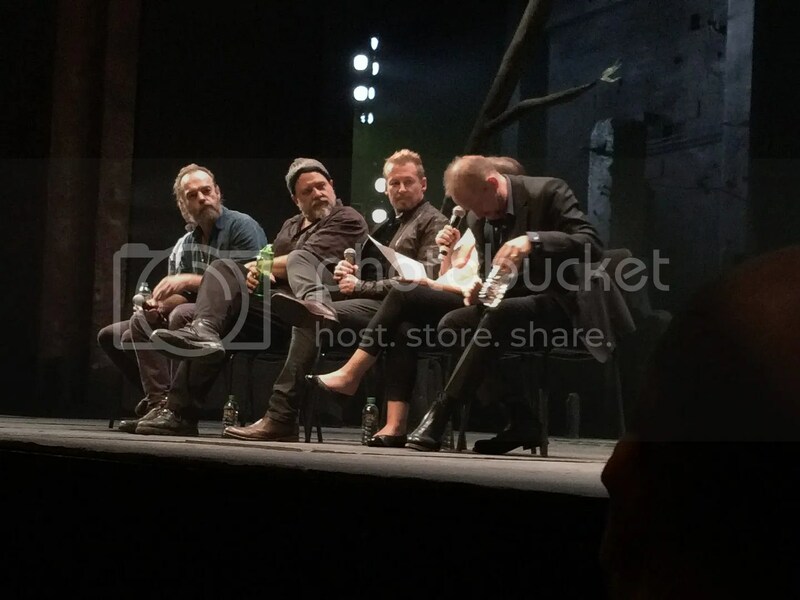 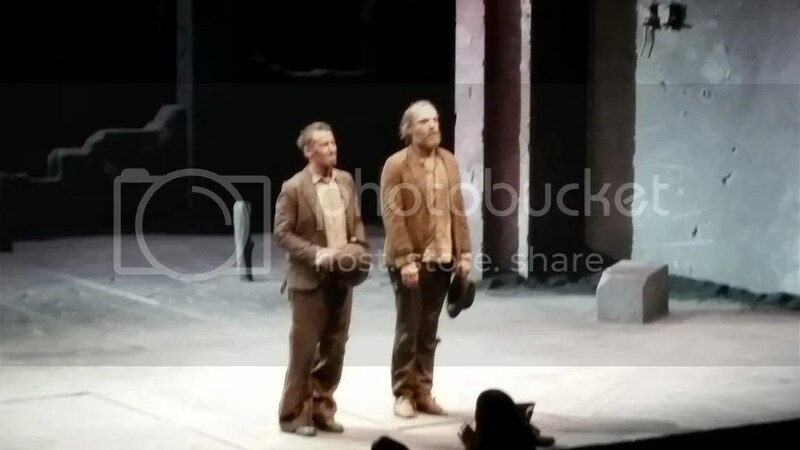 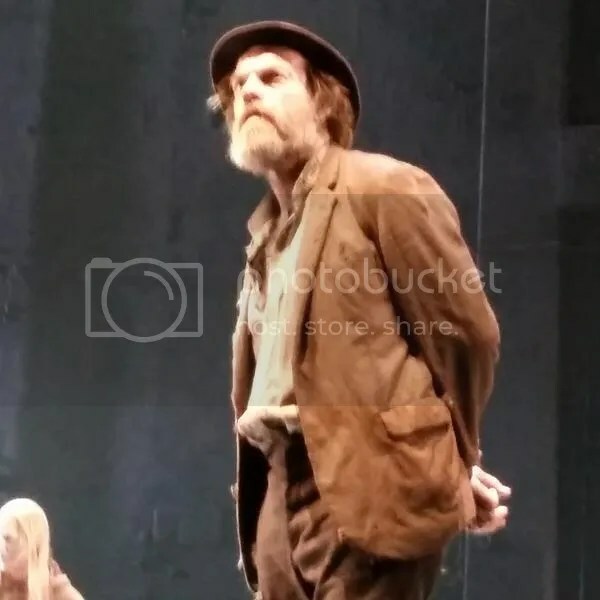 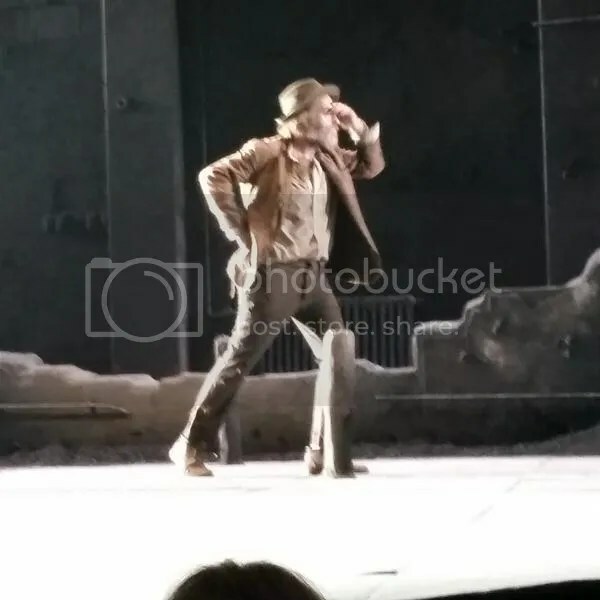 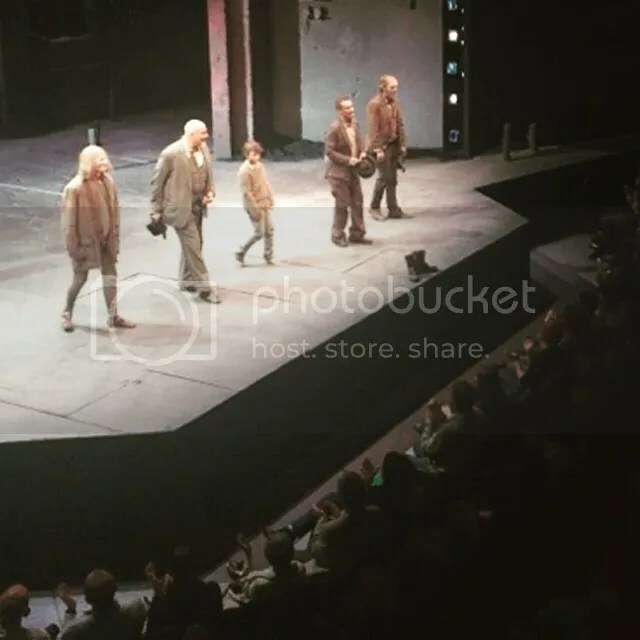 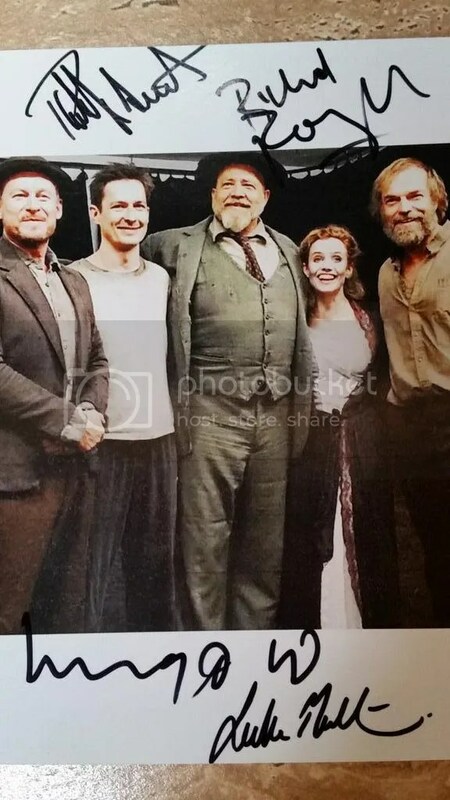 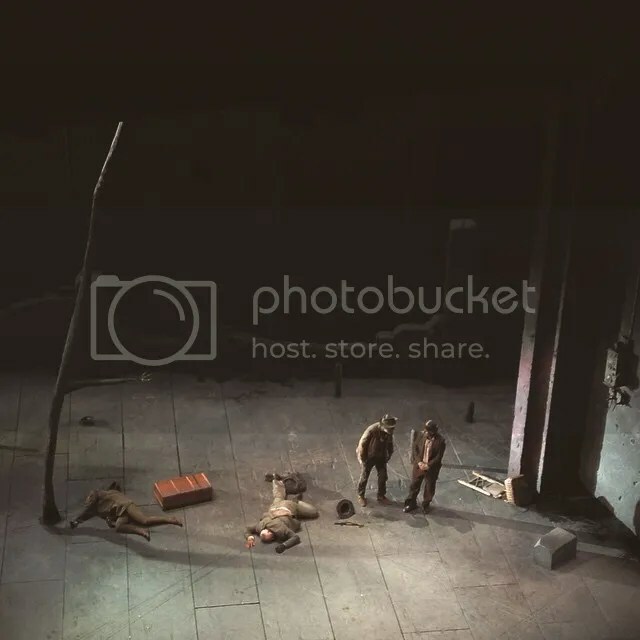 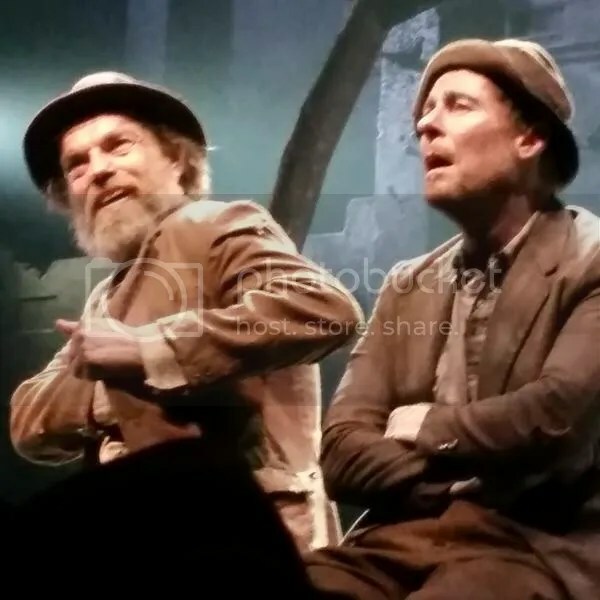 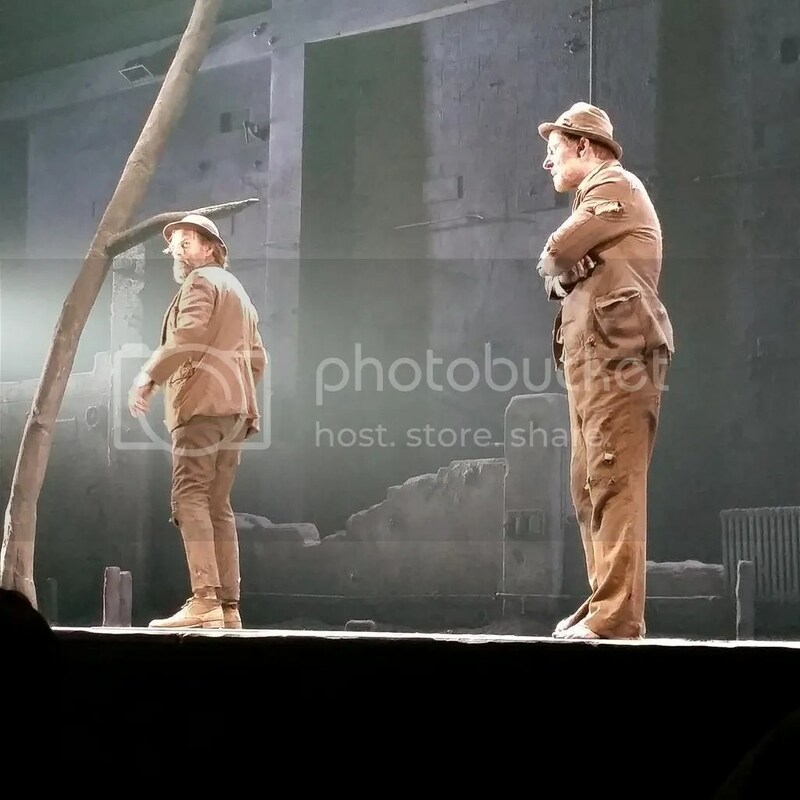 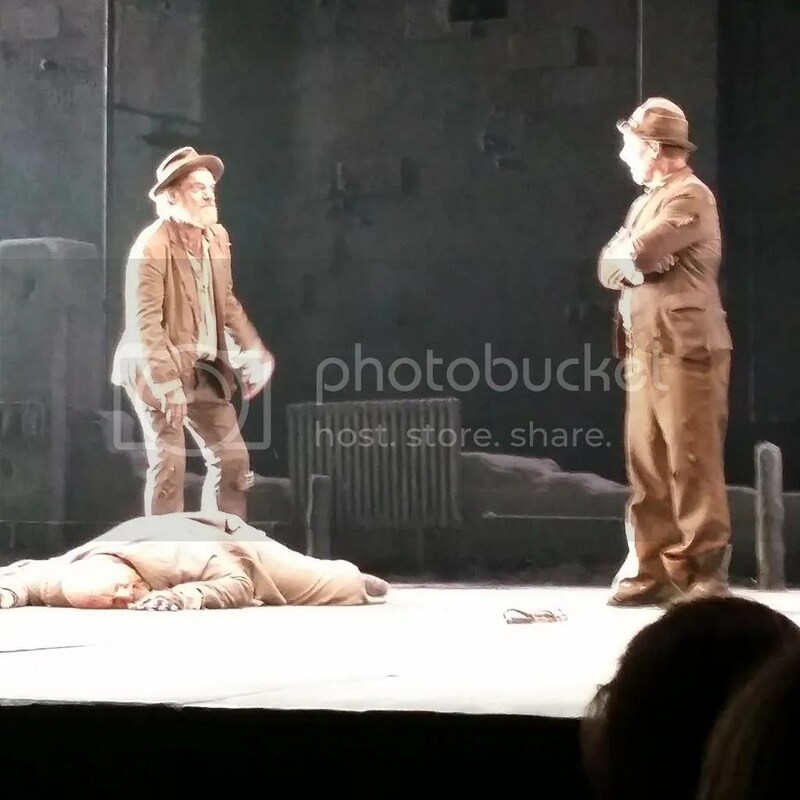 Sydney Theatre Company’s production of Waiting for Godot starring Hugo Weaving, Richard Roxburgh, Philip Quast and Luke Mullins continues to receive overwhelmingly positive notices as new photos (both from professional photographers and fans) continue to appear. 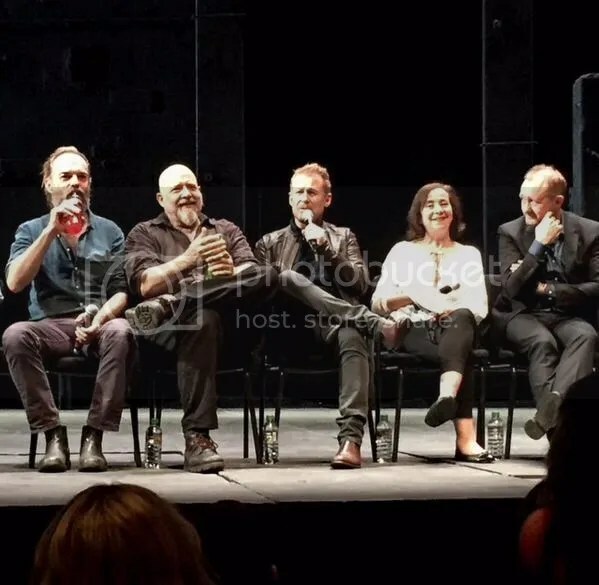 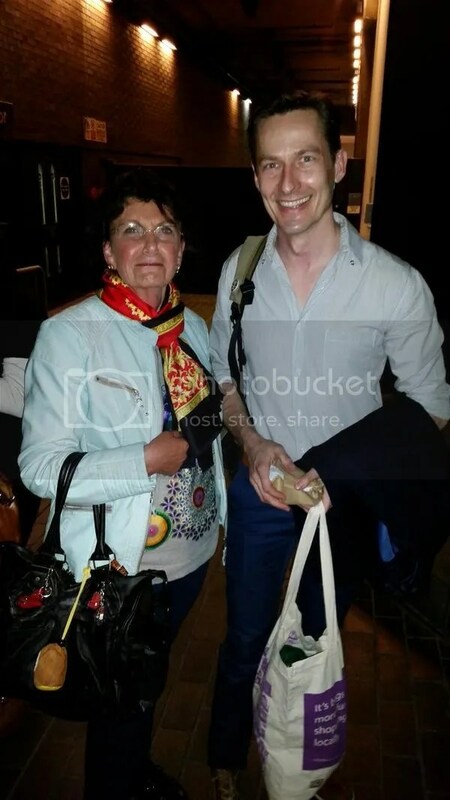 I’ll post the latest review excerpts interspersed with these photos, some of which were taken at a cast Q & A following the June 9 performance. 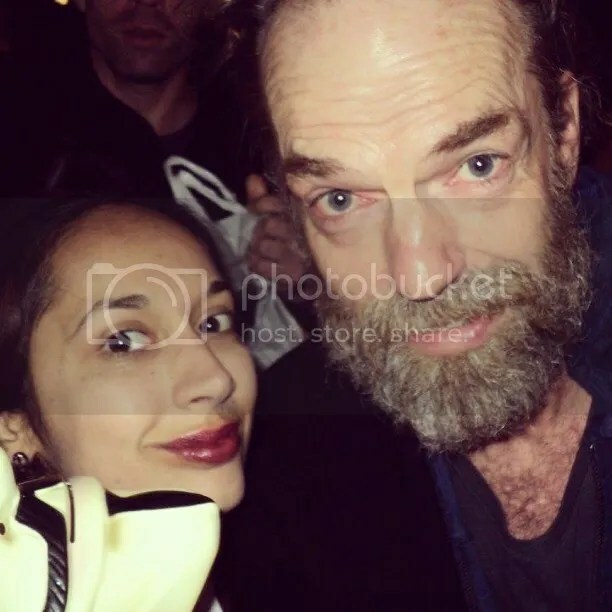 All fan photos are shared with their original Twitter or Instagram captions, and all material includes links back to original sources; as always, if you have time, the reviews are well worth reading in their entirety. 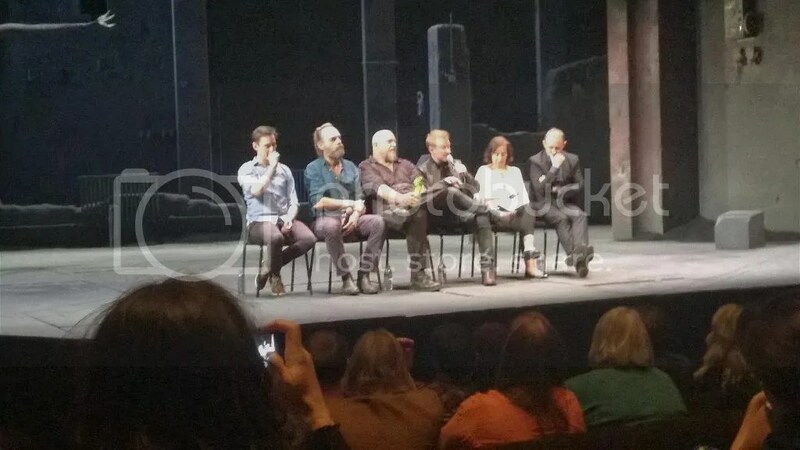 After the play was over, we waited to watch an interview with the cast. 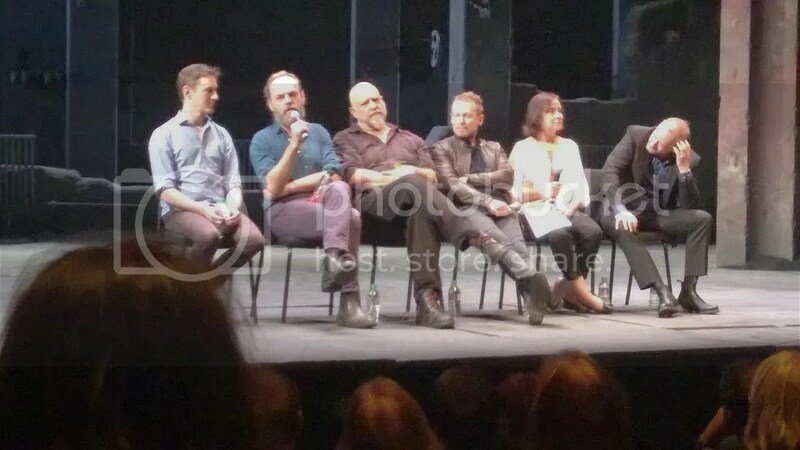 Our group moved up to the front row! 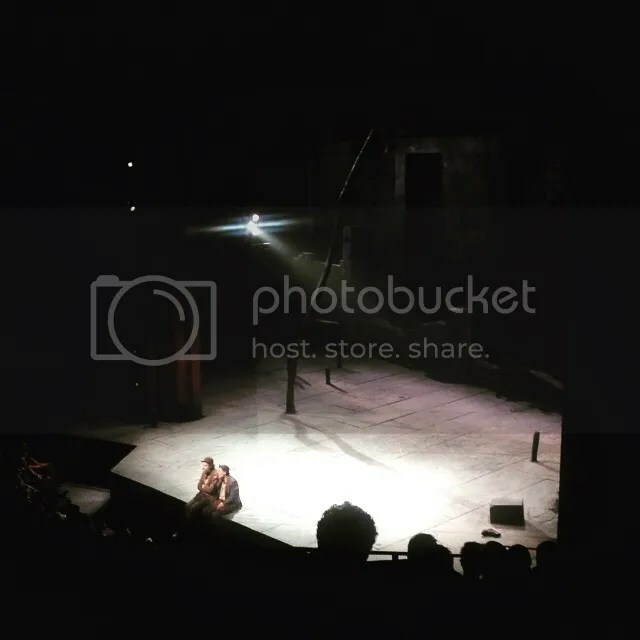 The visual designer talked about how he worked with the actors to come up with their interpretation of the play. 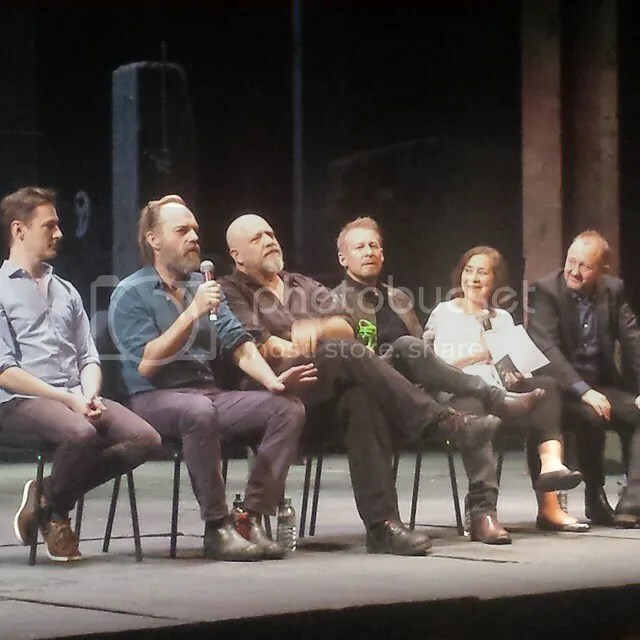 He discussed the fact that the humor is there in the play, and it’s all about tapping into that humor and letting it come out naturally. 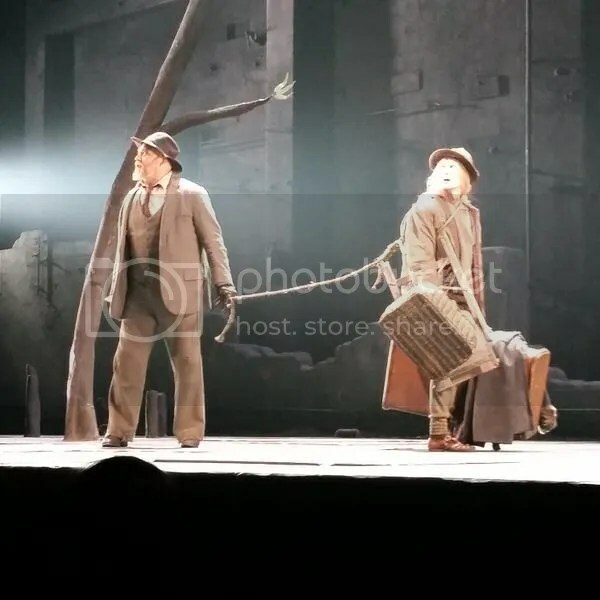 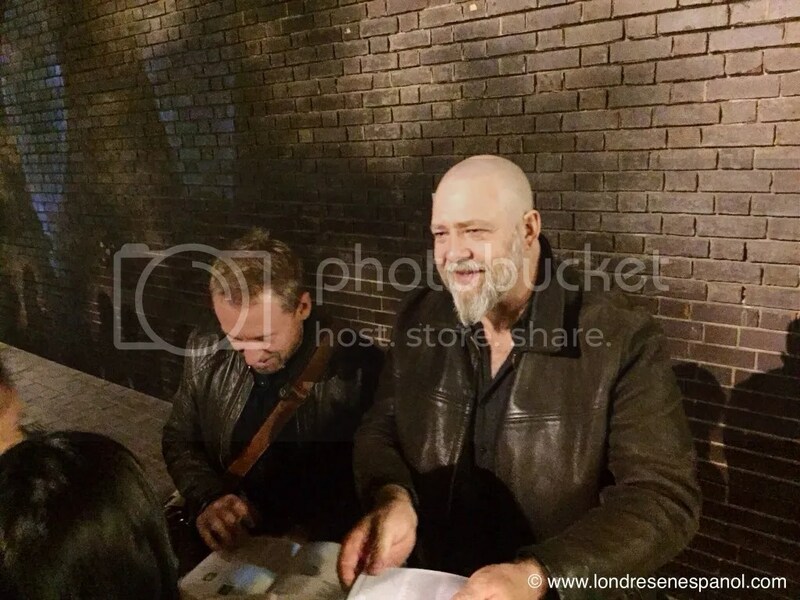 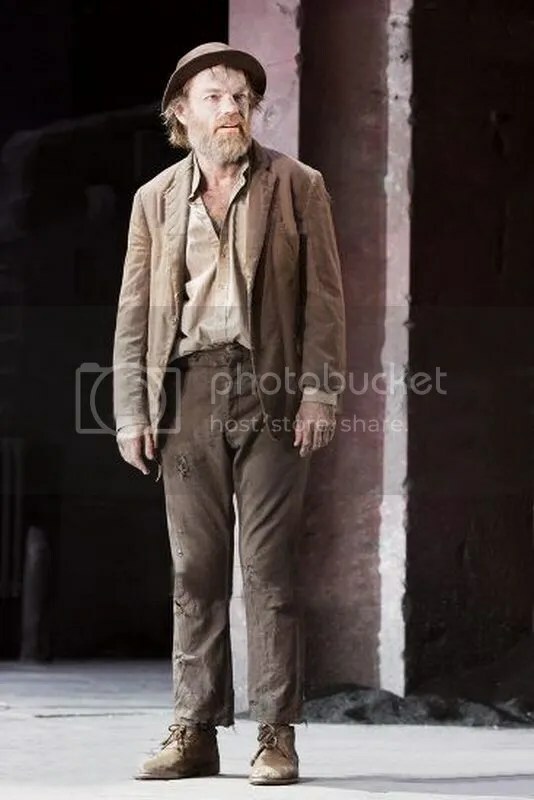 The actor who played Pozzo [Philip Quast] talked about the rhythm of the play being one mixed between humor and sorrow, and throwing off that rhythm in one extreme or the other takes away the plays magic. 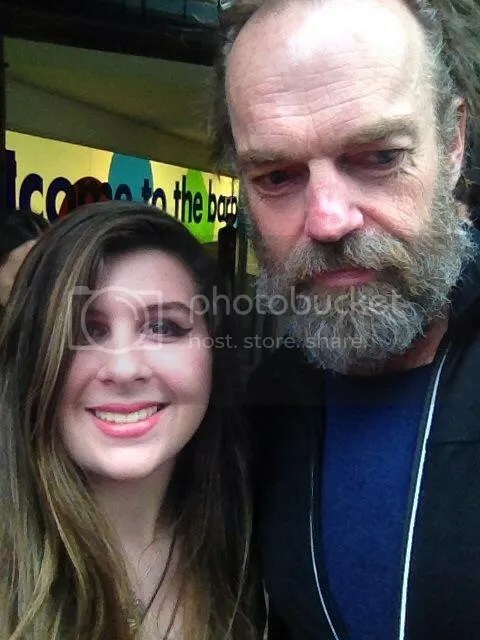 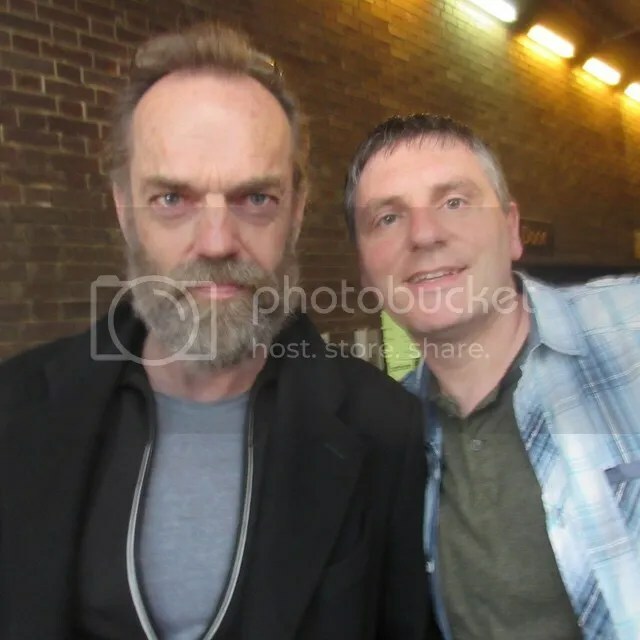 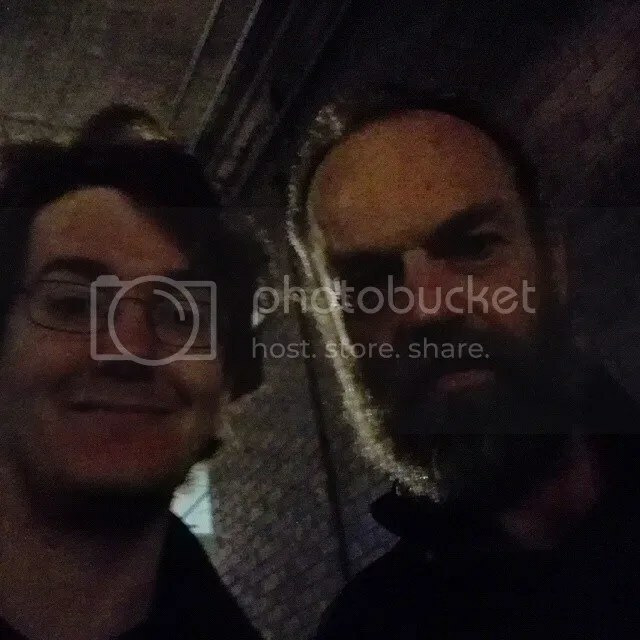 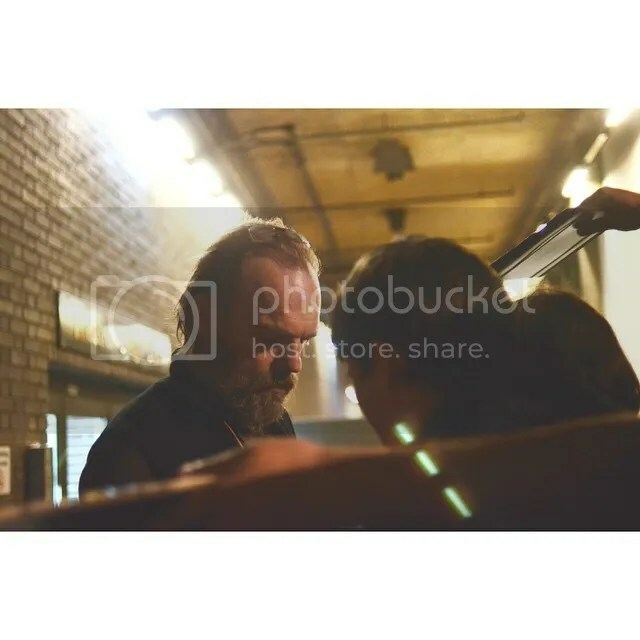 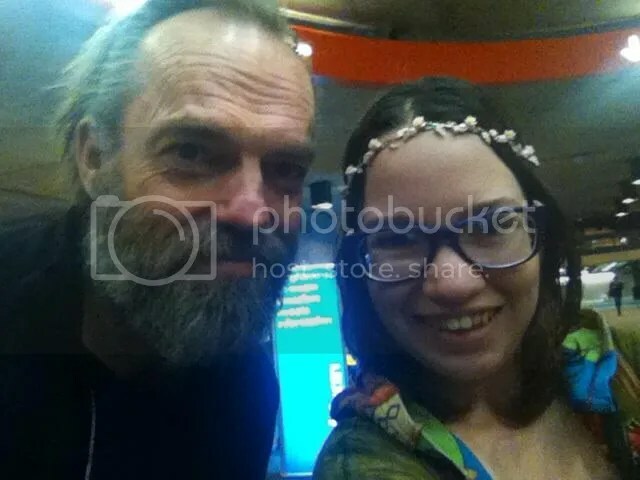 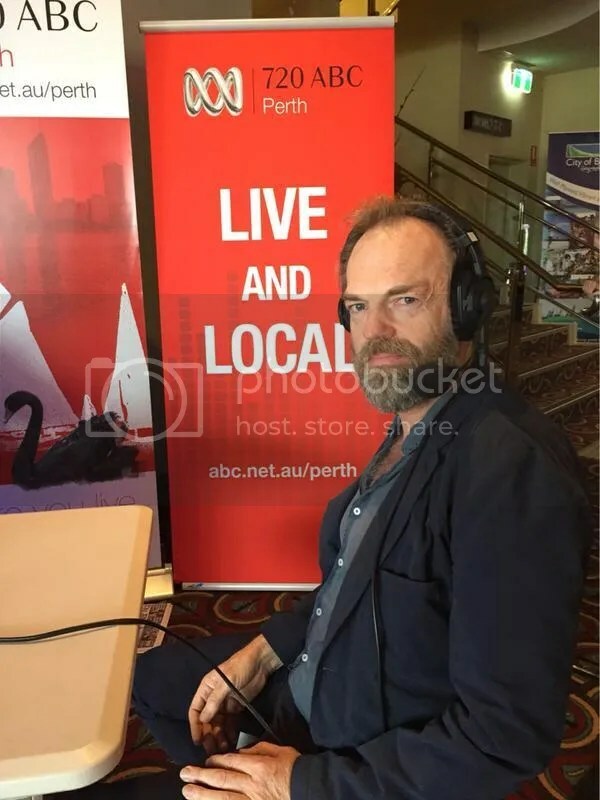 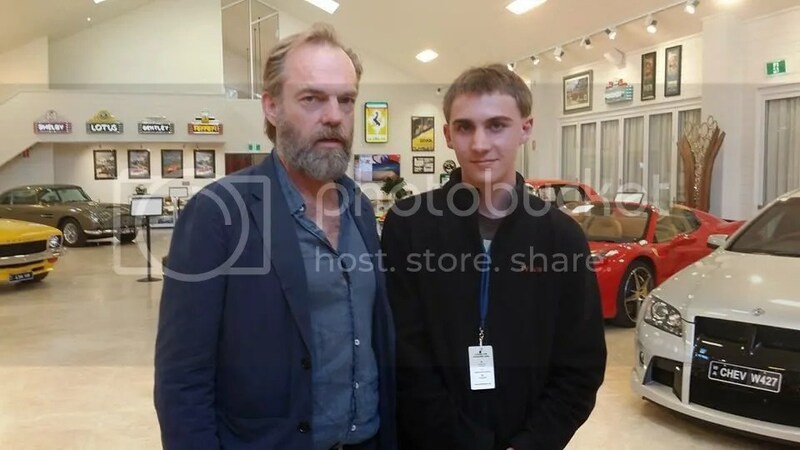 HUGO WEAVING talked about how Richard and he were told 5 years ago to be ‘Didi and Gogo’ in this play because of the way they masterfully pulled off a somber scene in a play [STC’s Uncle Vanya] in 2010. 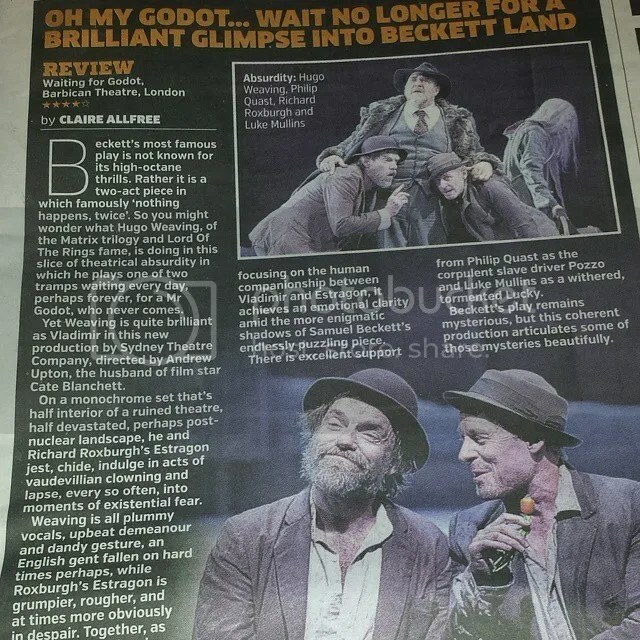 You can read compilations of these STC Godot reviews and a few others at The Australian and The Sydney Morning Herald. 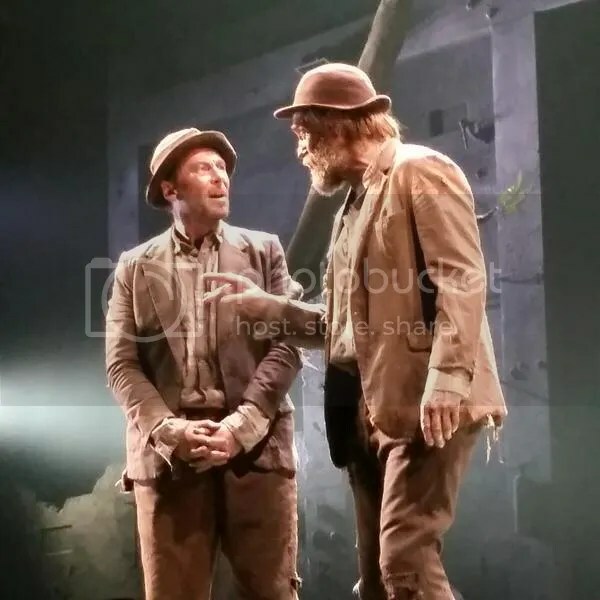 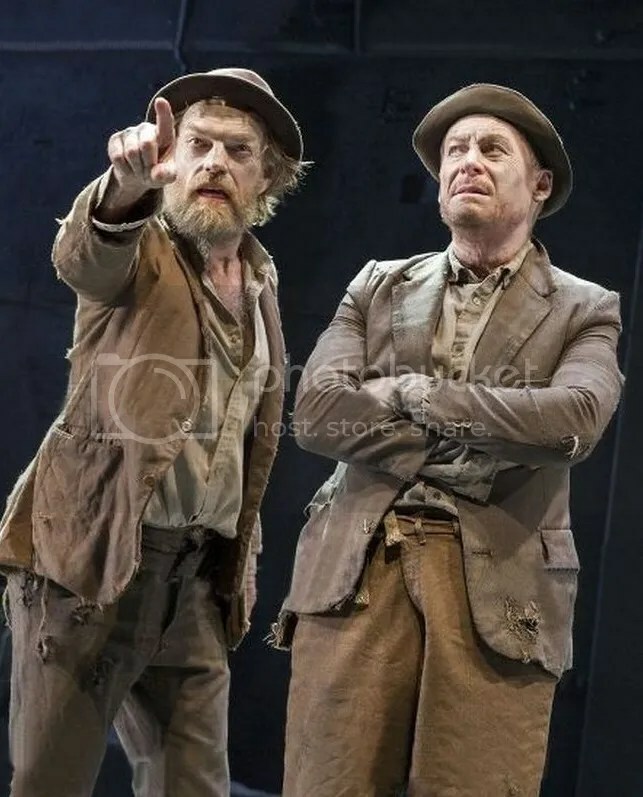 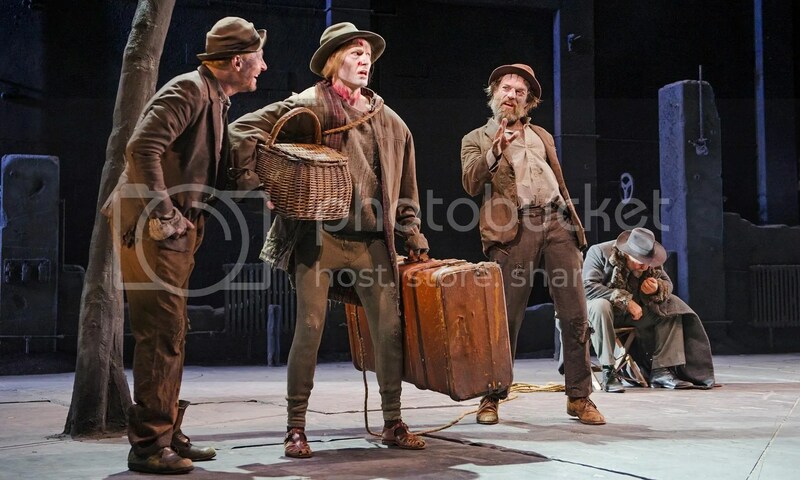 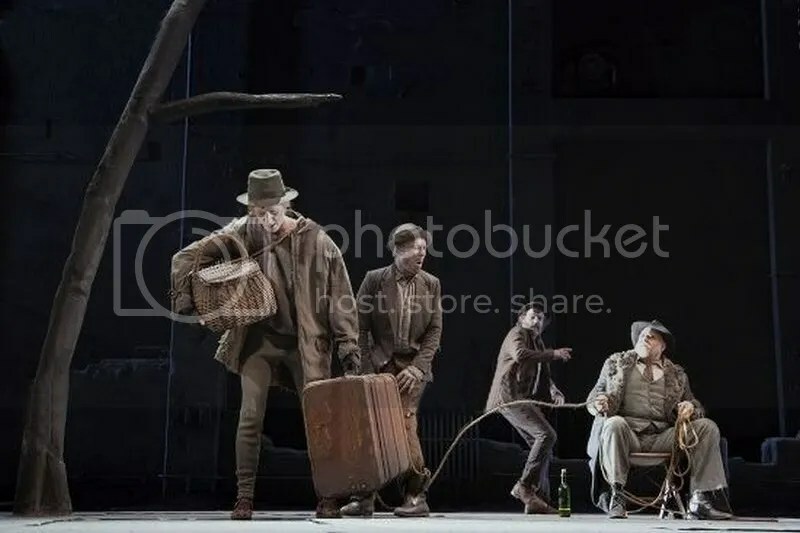 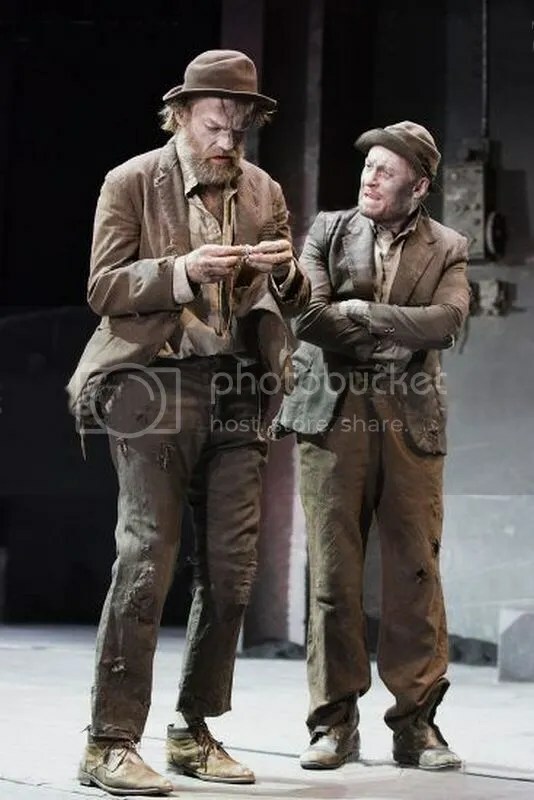 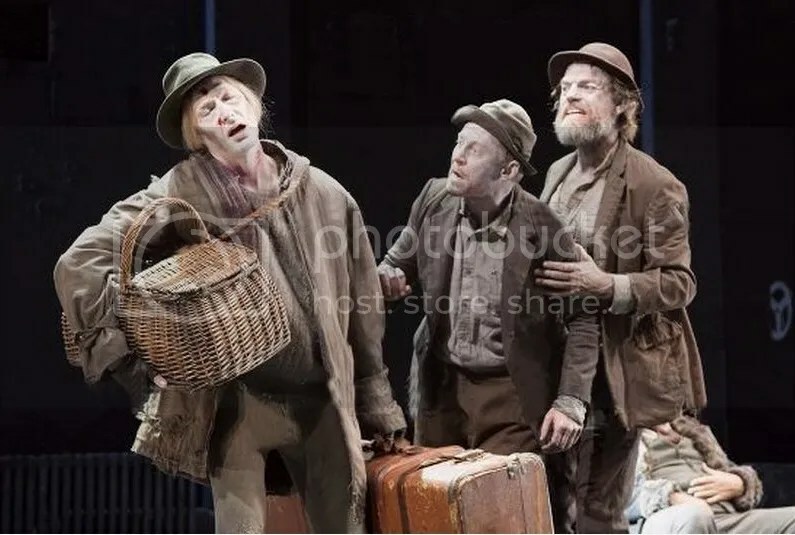 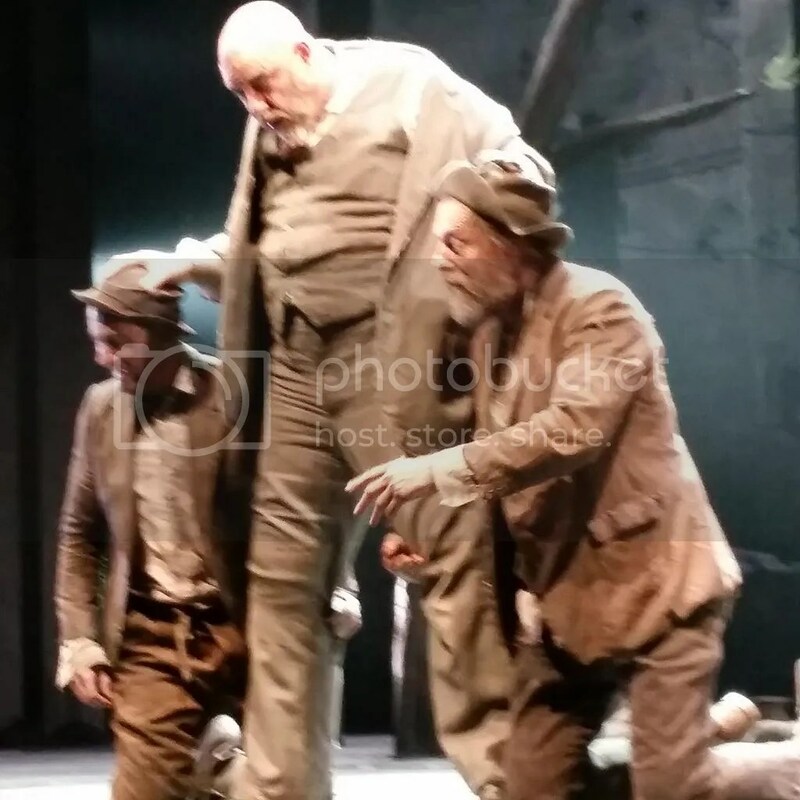 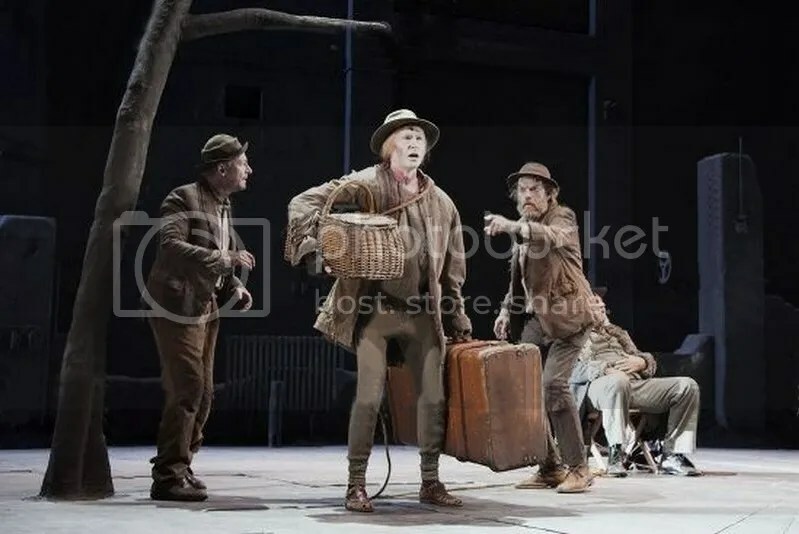 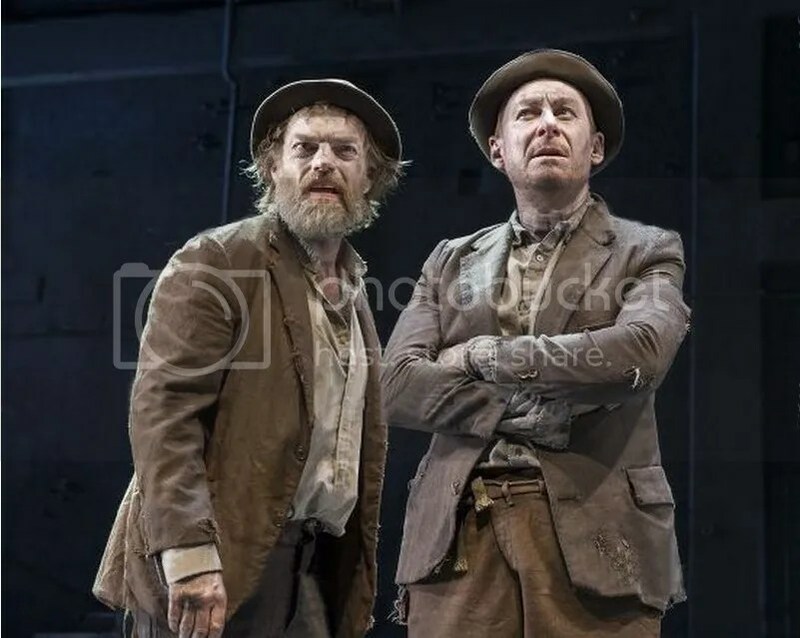 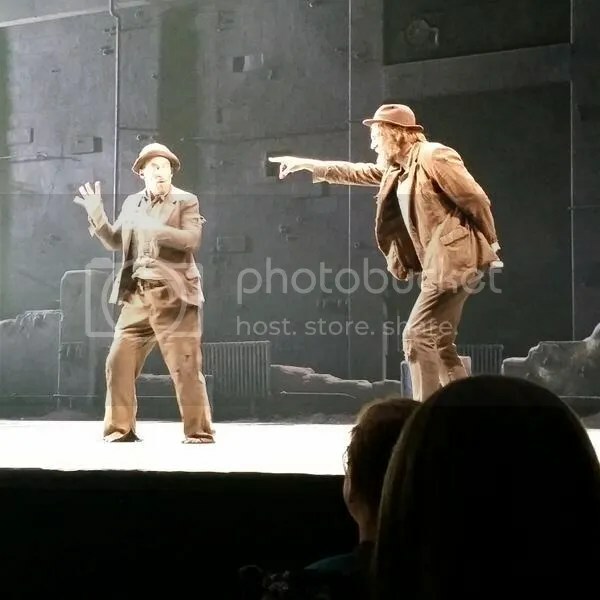 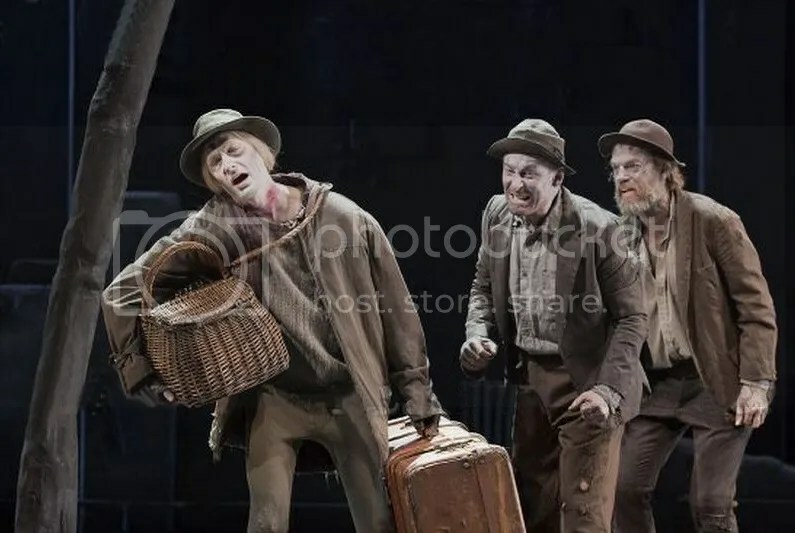 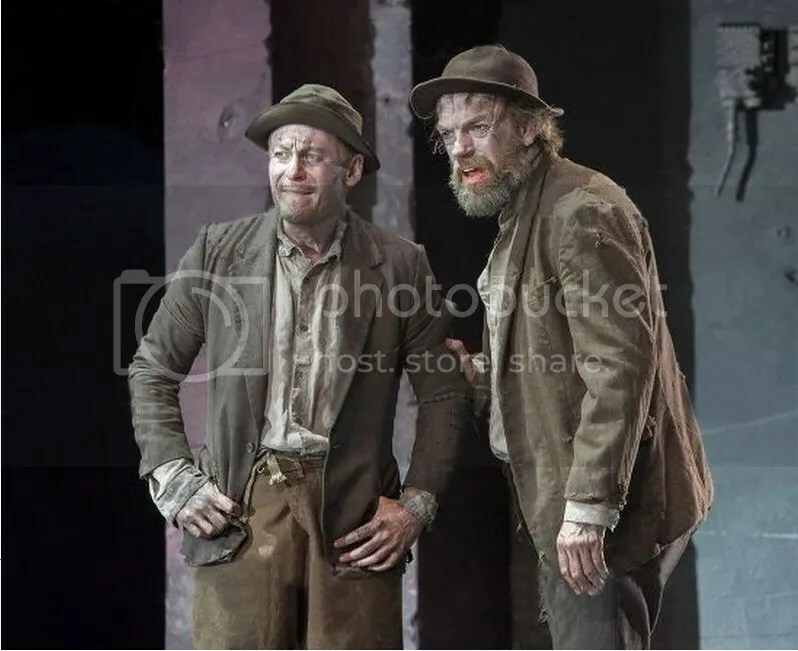 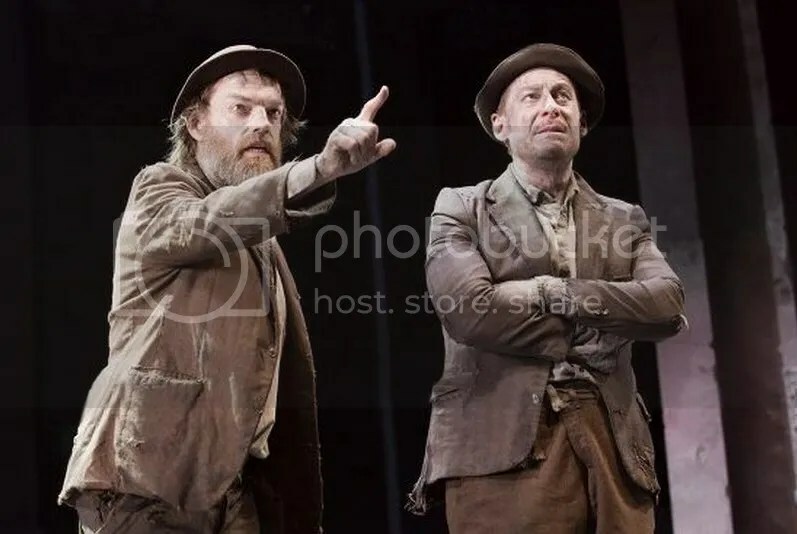 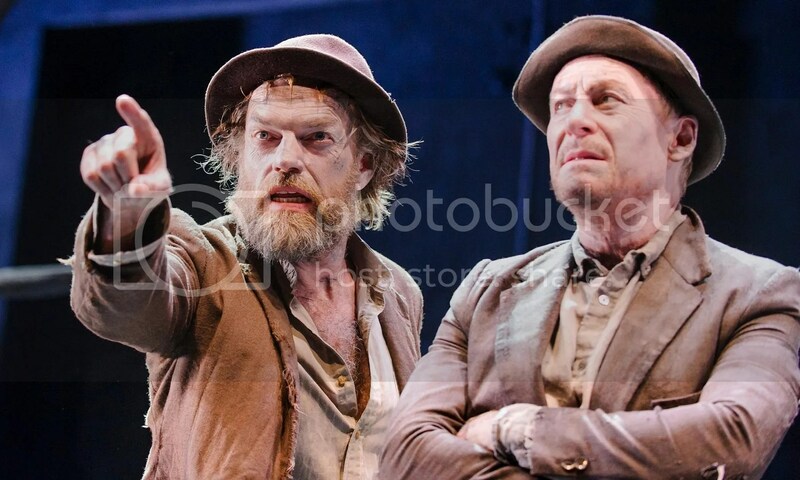 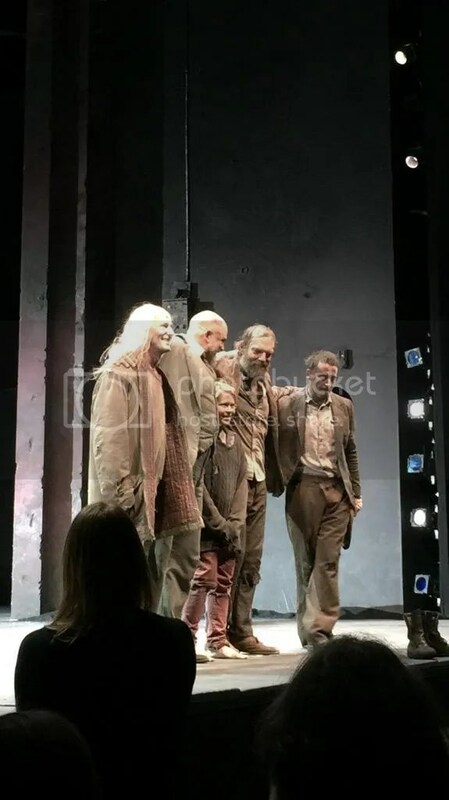 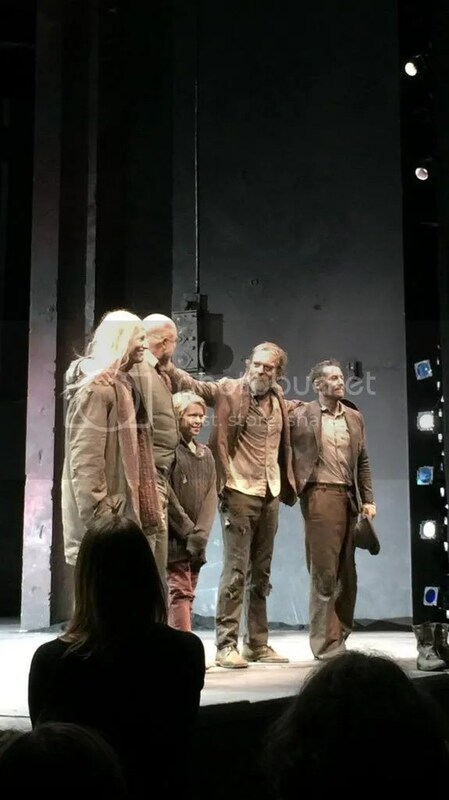 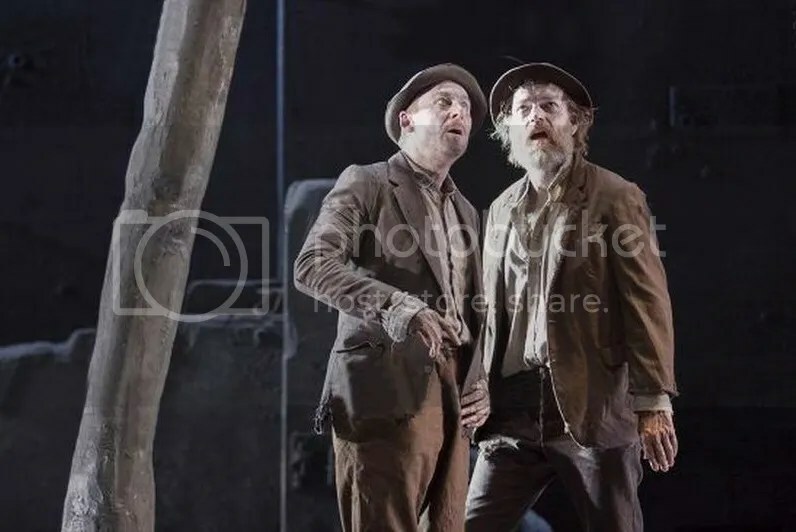 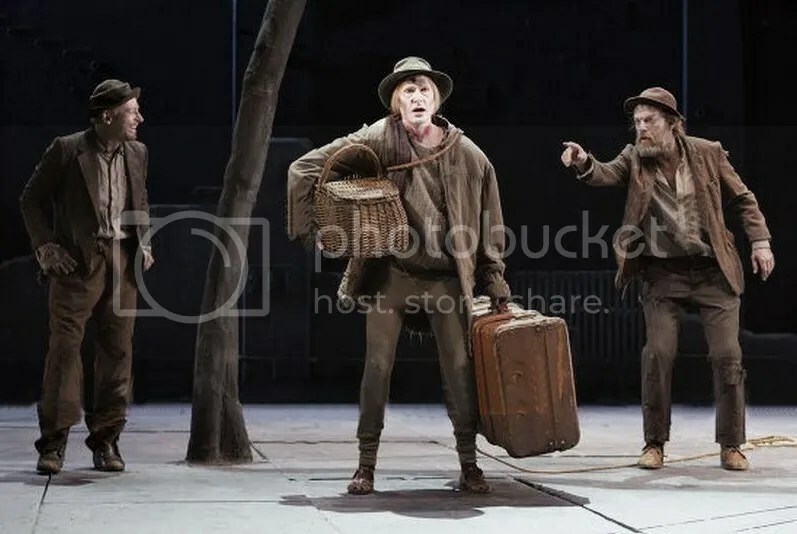 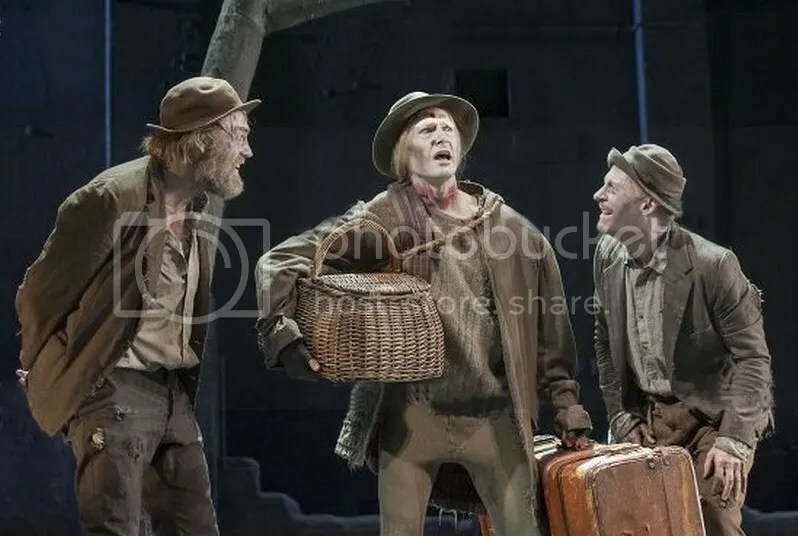 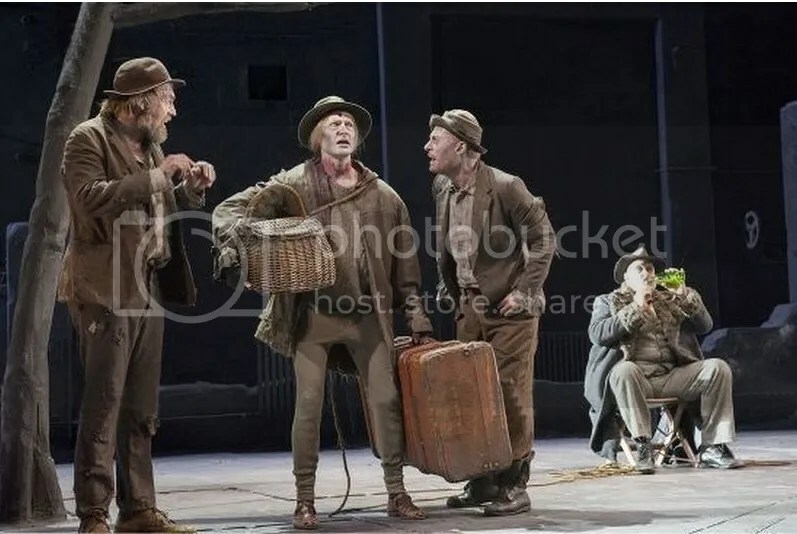 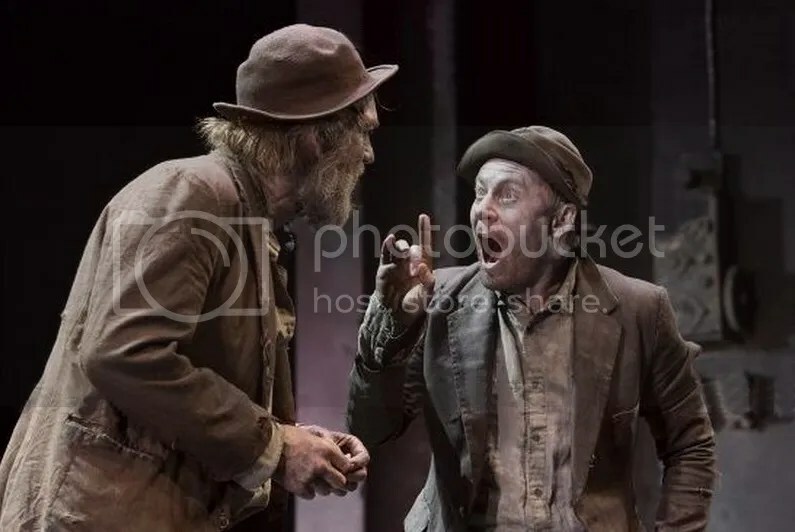 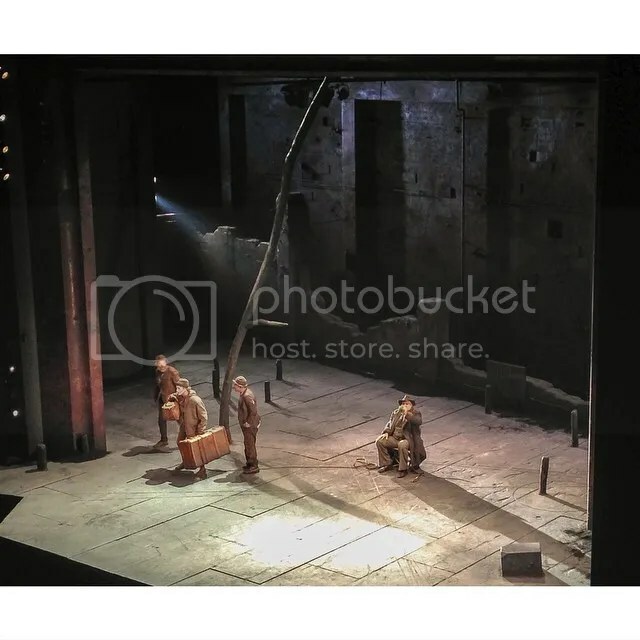 Here are more 13 more production photos of Godot in London featuring Hugo Weaving as Vladimir, Richard Roxburgh as Estragon, Philip Quast as Pozzo and Luke Mullins as Lucky. 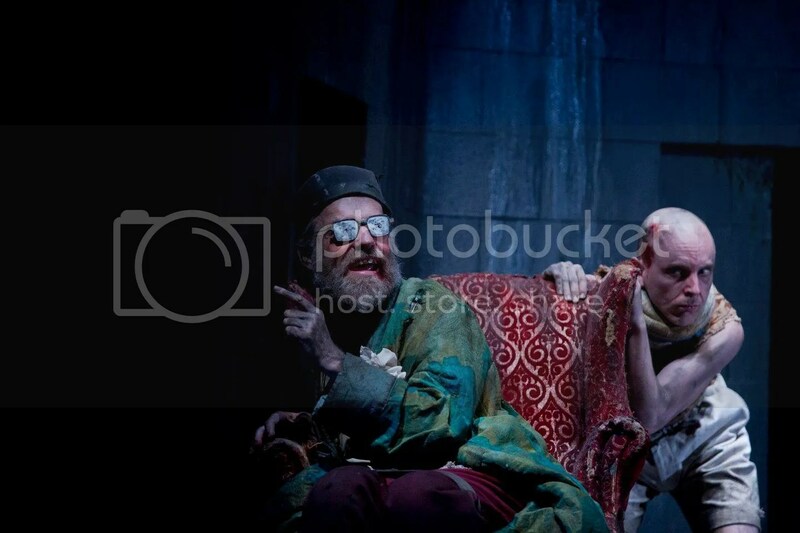 All are credited to Bettina Strenski/LNP/Rex. 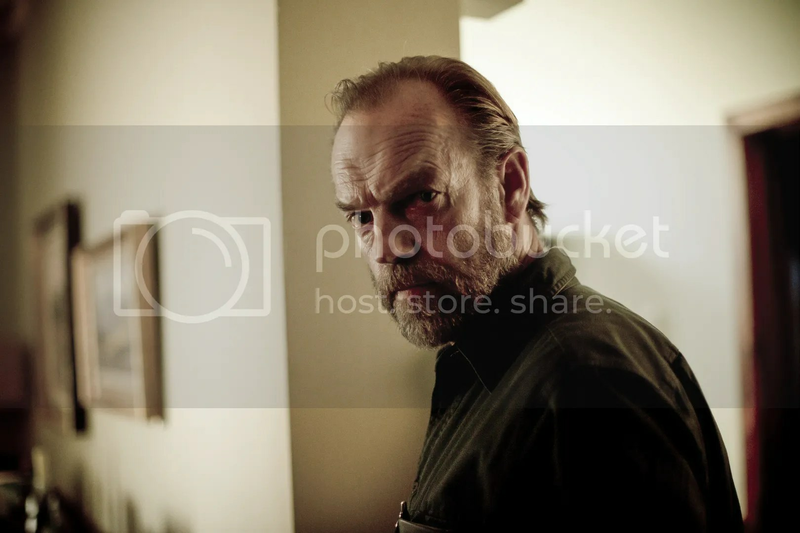 The film’s US distributor, Alchemy, is planning a more stripped-down, mostly VOD release with DVD soon to follow. 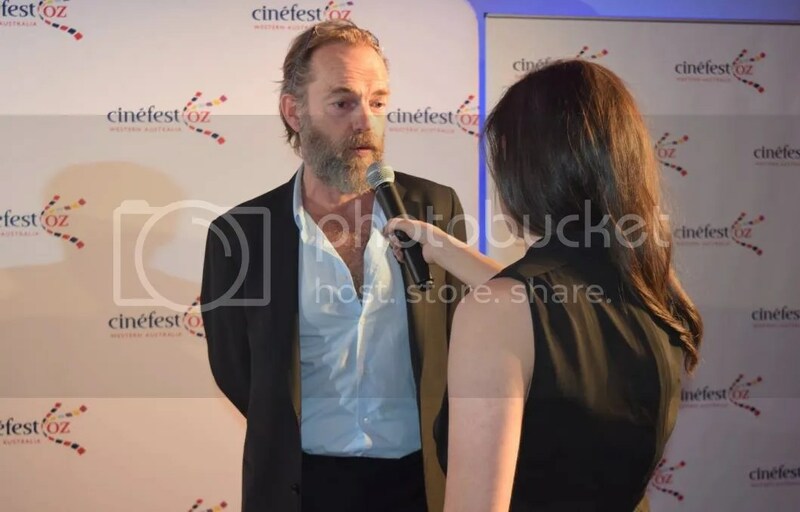 No intel yet on whether the film will actually have any theatrical screenings over here, but there is at least a Facebook page to keep tabs now, and Alchemy has added a subpage at their website. 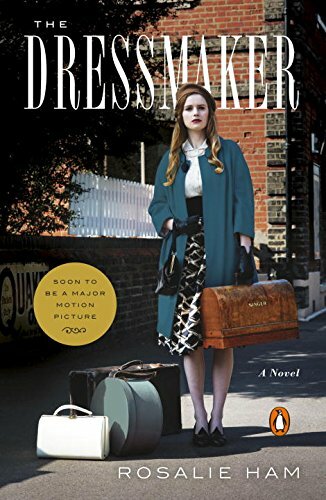 US release is July 10 with DVD/Blu-Ray following on August 18. 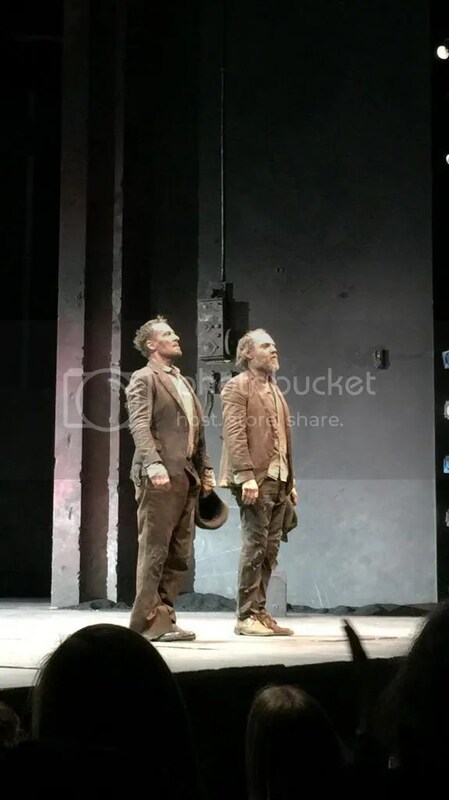 Reviews for the film remain mixed though there are a lot more unreserved raves from the Australian critics (though many others still either don’t like the film’s ambiguity or don’t think the theme is satisfyingly played out); the performances are generally drawing praise, though some are on the fence about Joseph Fiennes, depending how they interpret his performance. 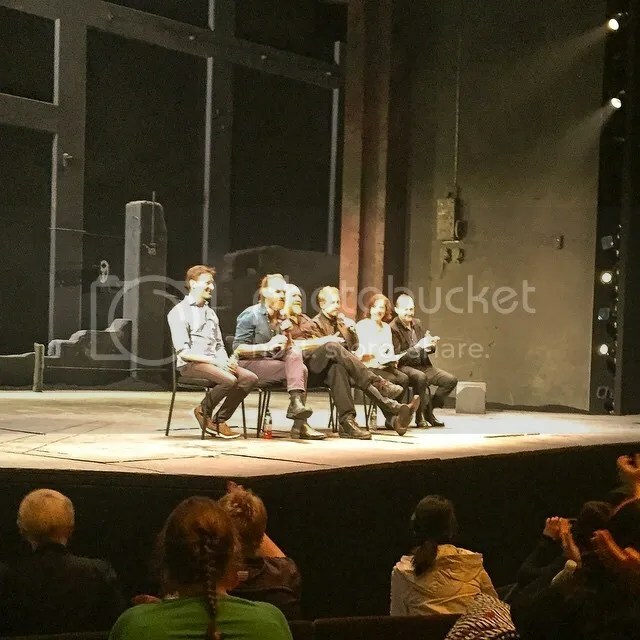 Here is a sampling of quotes from recent reviews, complete with links to original sources. 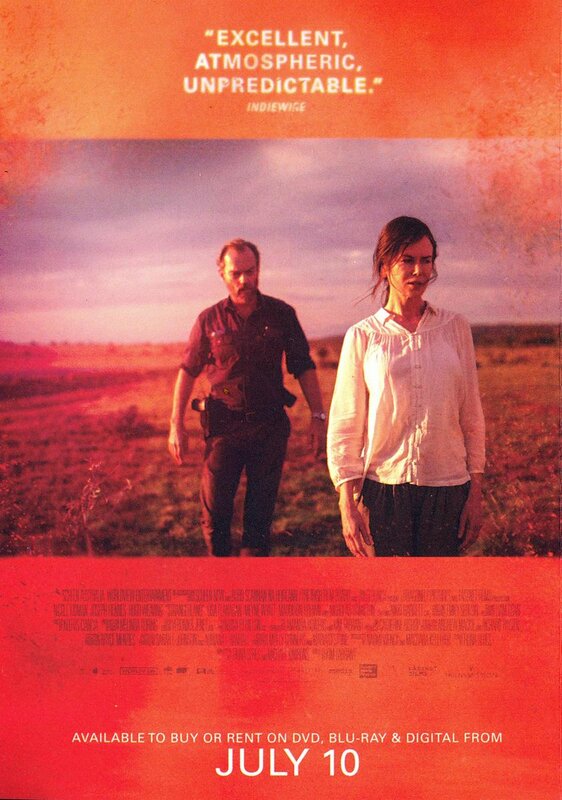 Louise Keller, Urban Cinefile: “There’s a wonderful mood and sense of place about Kim Farrant’s debut feature set in the Australian outback, although the individual parts are more successful than the whole. 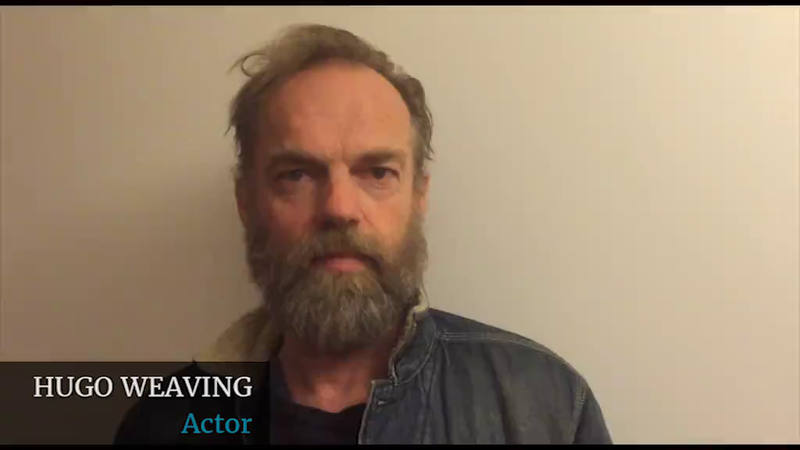 With a screenplay by Michael Kinirons and Fiona Seres, the film boasts a dream cast..
Edward Curtis, The Film Blerg: “The film contains some impressive performances from homegrown talent and expected quality from its known stars. 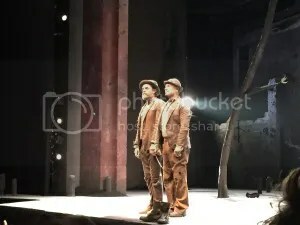 Lisa Flanagan and Meyne Wyatt play Burtie and Coreen, a brother and sister who have more association with the Parker family than anyone else in the town. 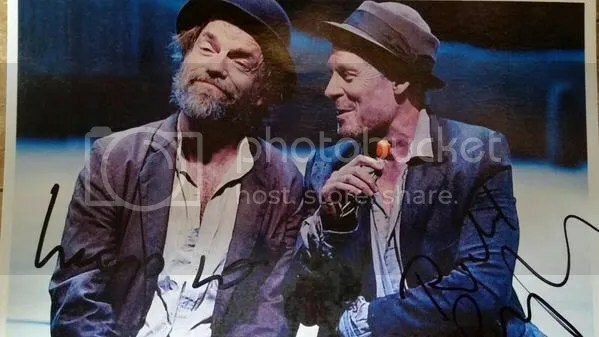 Brown and Hamilton have a certain sibling chemistry that demonstrates their solace in sharing one another’s company. 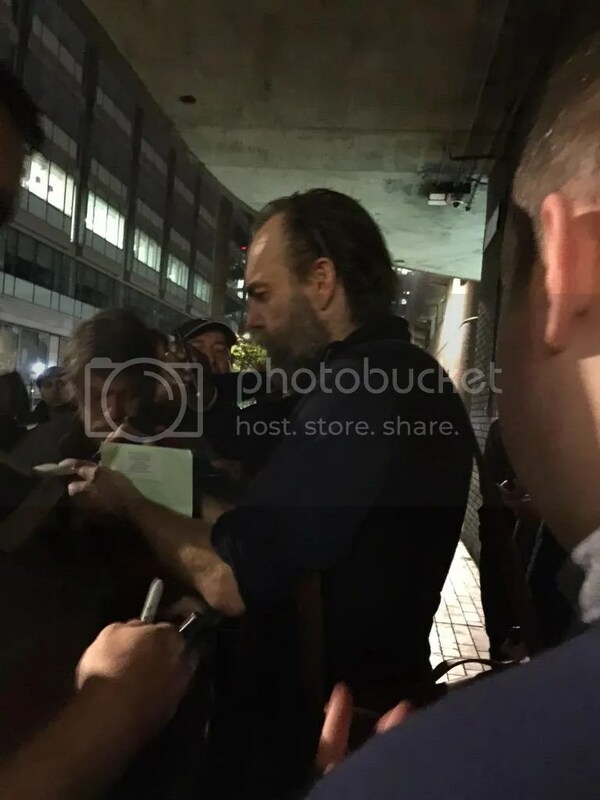 Fiennes and Weaving both represent strong opposing characters doing their separate duties, as one man falls apart, the other must piece together the facts. 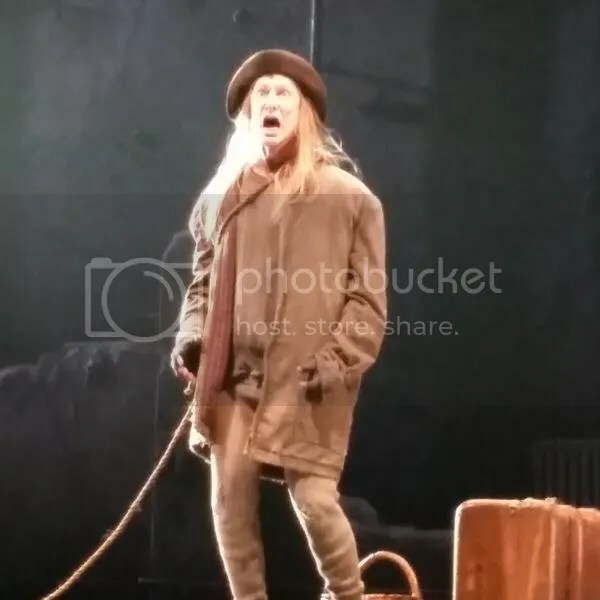 However, it is Kidman’s performance that stands out, with the anguish and destruction of Catherine being so seamless it surpasses the film’s plot into some sorrowful territory. 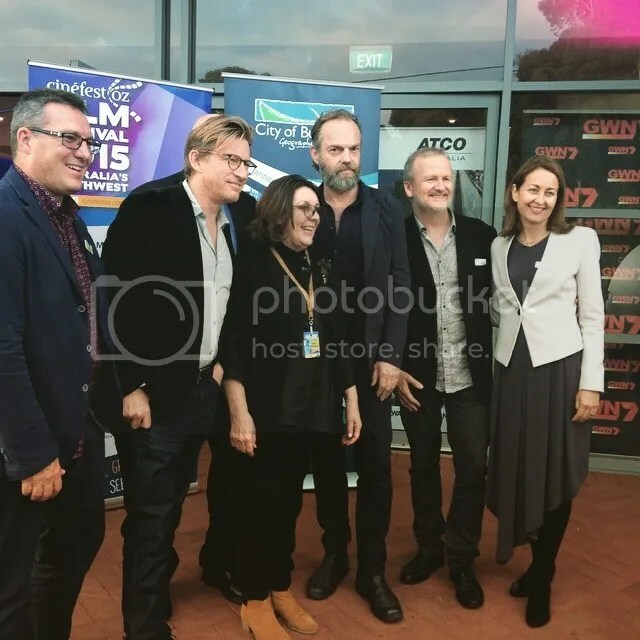 You can read Kim Farrant’s interviews about making the film, how she incorporated highly personal themes and how she’s gauging the varied audience response at IndieWire, RTRFM (audio interview), Scenestr., The Sydney Morning Herald and ABC Arts. 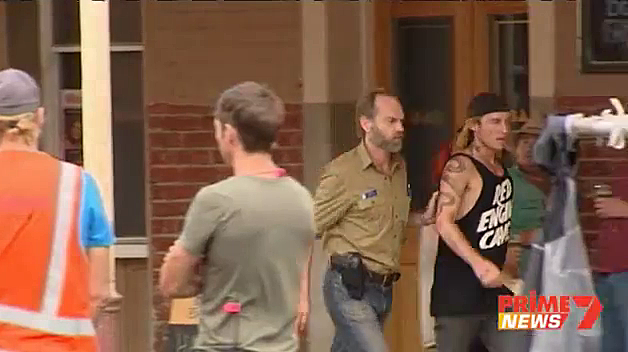 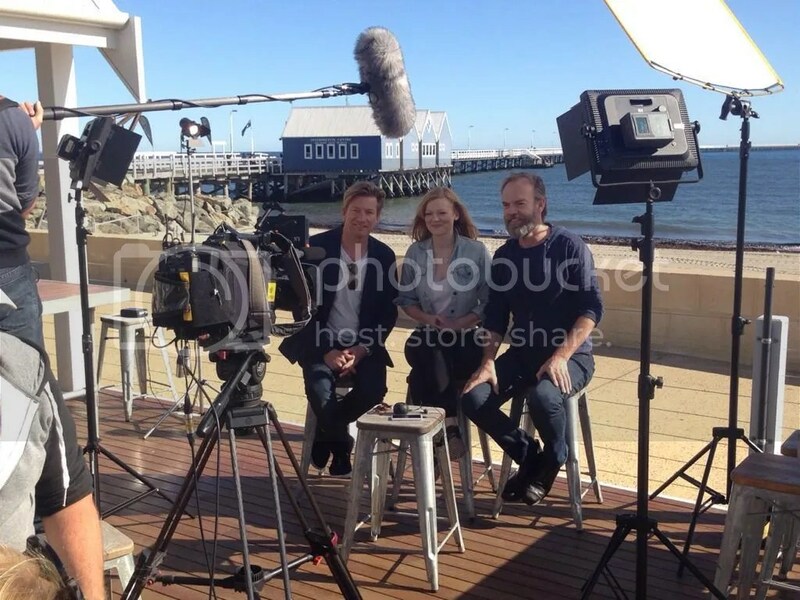 You can see behind the scenes video, including interviews with Farrant and Kidman, at Yahoo7 (includes footage of Hugo filming in Canowindra), The Courier Mail and MSNNews Ten. 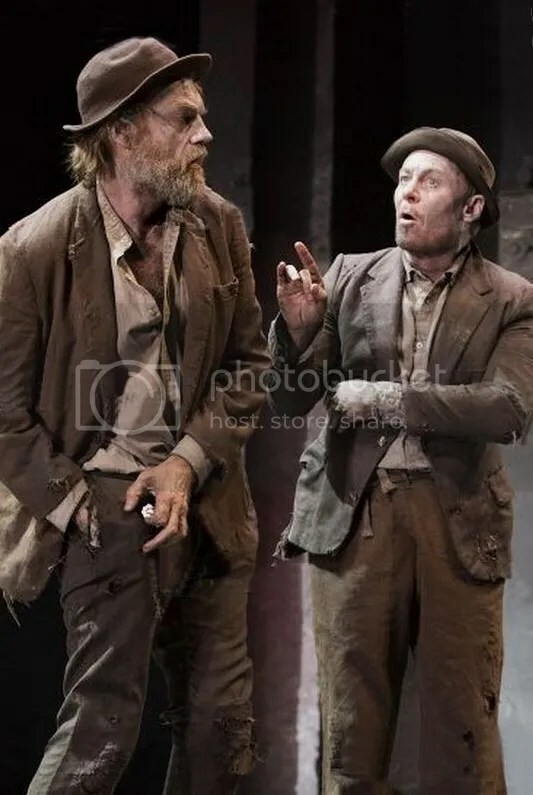 There’s an article about a screening of the film for Canowindra residents, many of whom played extras, at Central Western Daily. 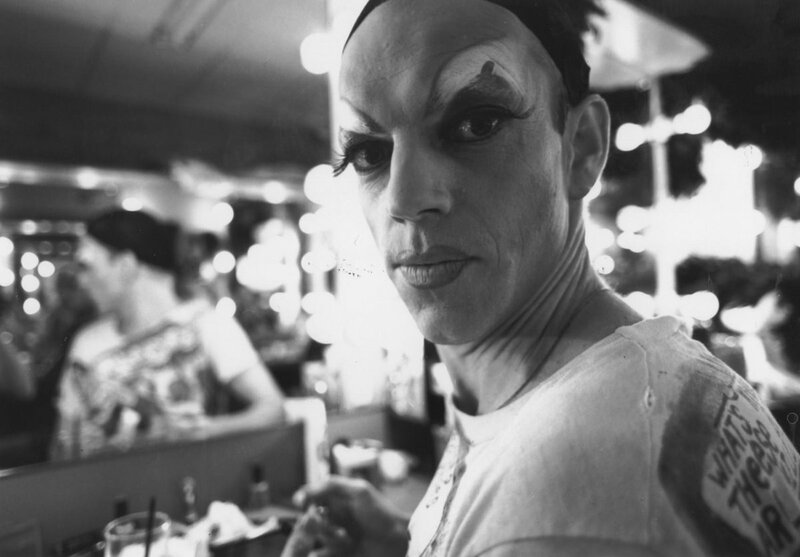 Priscilla fans will rejoice in the news of a brand new documentary film celebrating the making of The Adventures of Priscilla, Queen of the Desert. 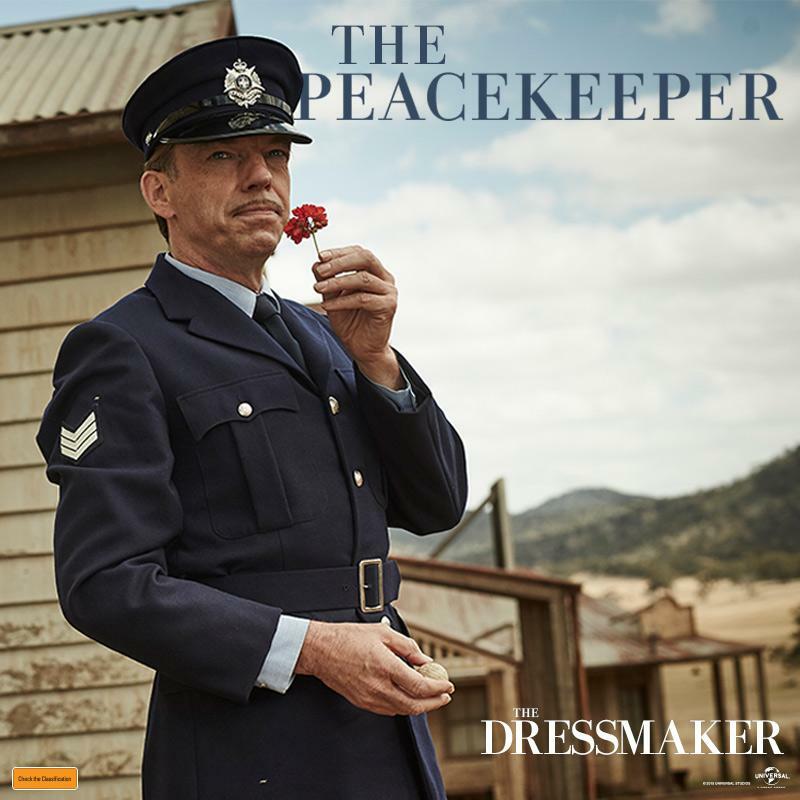 The film, entitled Between a Frock and a Hard Place, will air on Australian TV 18 June at 8.30 on ABC, followed by a DVD release July 8. 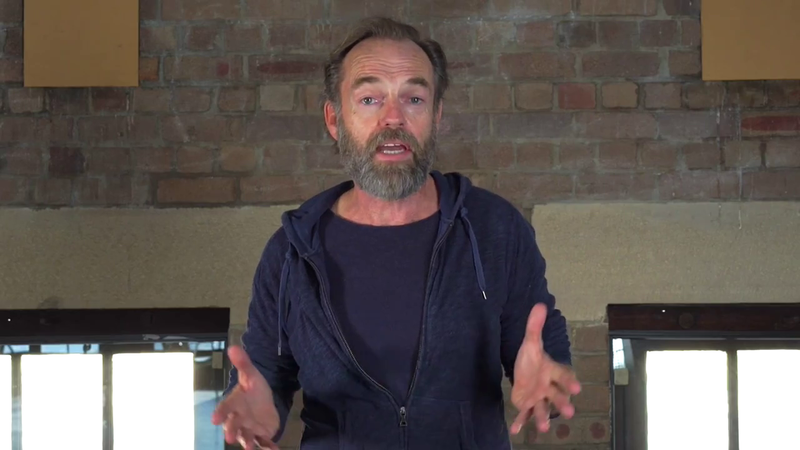 Though we’ve seen several Priscilla-related docs and behind the scenes featurettes (including the full-length Ladies Please doc and several shorter pieces which accompanied various DVD/Blu-Ray issues) this sounds more comprehensive, and will feature interviews with director Stephan Elloitt and actors Terence Stamp, Hugo Weaving and Guy Pearce. 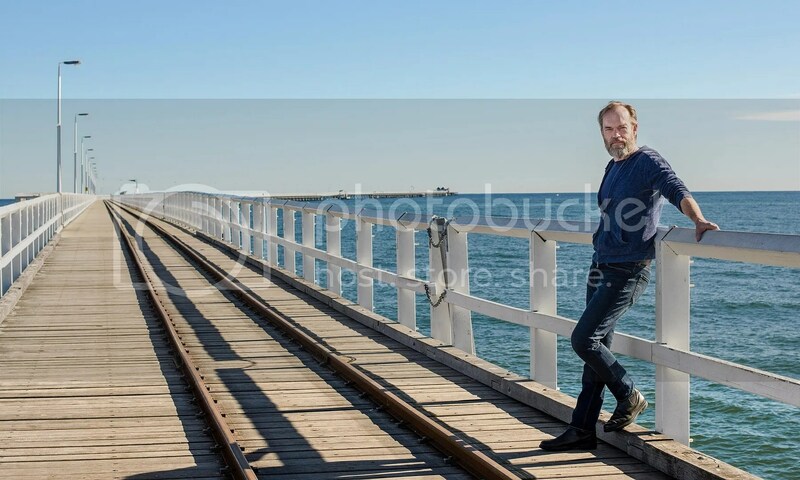 (No specifics on whether these are new interviews, but some program stills of Elliott definitely look recent.) 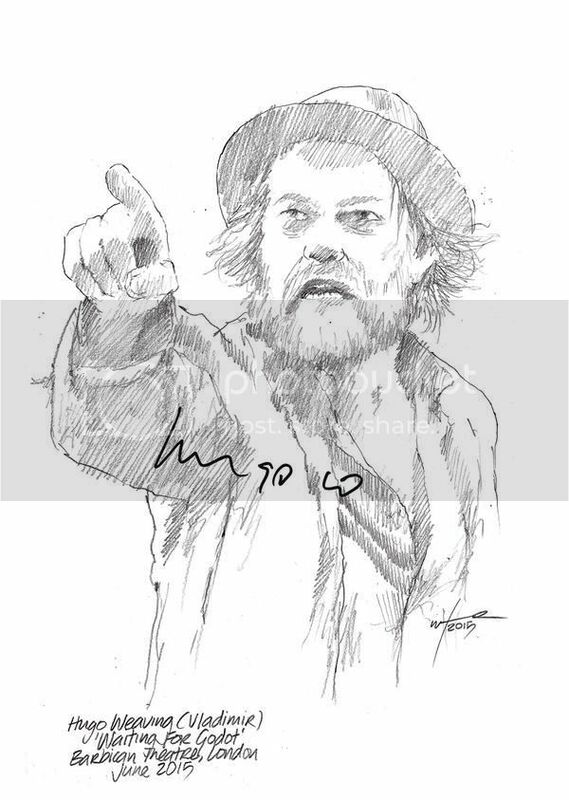 Stamp narrates. 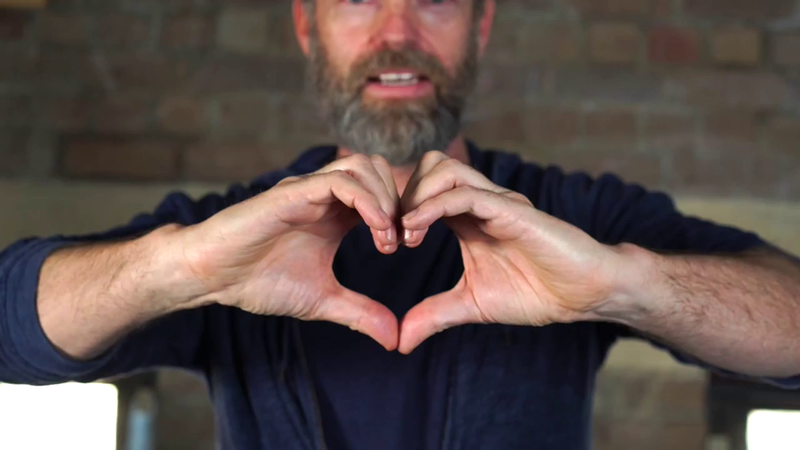 More info at Impulse Gamer, Arts Review, Nelbie and Same Same, which details a special live Q&A to follow the doc, which will address changing cultural attitudes to LGBT issues.